I didn't really pick a winner, decide for yourself which one you like best! Your job is, to send me the best possible caption, the funniest text that could go with the photo. This could also be the most comical remark that the two men say to eachother! E-mail your caption to: J.J.Horst@BugattiPage.com, the best ones will be published here! 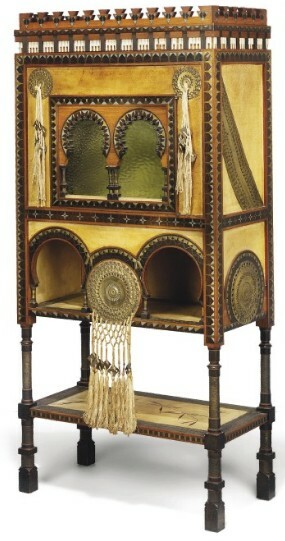 CABINET, CIRCA 1900 - estimate �,000 - �,000, result: ?? Lot 236: 1934 Bugatti Type 55 Roadster Recreation #BC092, Not Sold, The estimated value was set at estimate �5,000 - 280,000 which was not obtained. Bidding reached �0.000 which was not enough to satisfy the reserve and the car was left unsold. Lot 255: 1932 Bugatti Type 35B Recreation #280B0, Not Sold, The estimated value was set at estimate �5,000 - 168,500 which was not obtained. Bidding reached �.000 which was not enough to satisfy the reserve and the car was left unsold. The coach Ventoux chassis number 57351 was stolen in France during the night of October 28th. French registration is 3820 BV 13. See the pictures. 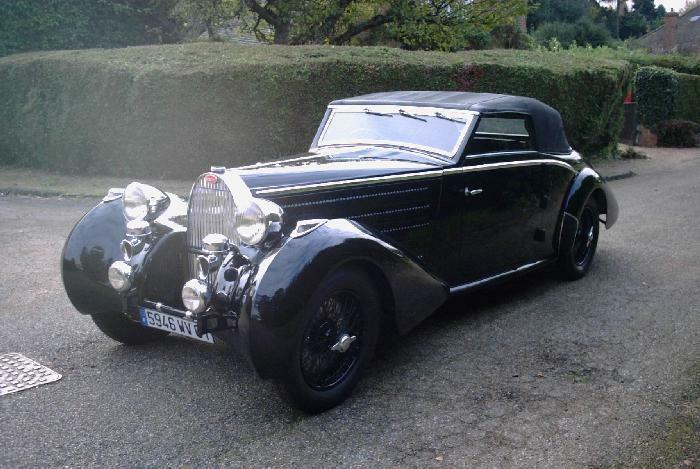 If you have some news about that car, please contact Patrick Arnaud webmaster@club-bugatti-france.net or contact the Gendarmerie of LAROQUE-TIMBAUT, phone + 335-53-68-41-30, ask for Mr Eric GENSOU. At the recent "Caruso Concours d'Elegance" in Glendale, USA, October 12 Ria van Daalen Wetters (Dutch native living in the USA for a long time) won "Best of show Bugatti" with her T40, against some strong competition, as the photographs show. Also present were some 35 cars from the Petersen Auto Museum in Los Angeles. Ria was one of few to arive on het own power, the event was only about 12km from her home. And that to know, that she learned about the event only a few days before, from the BugattiPage! 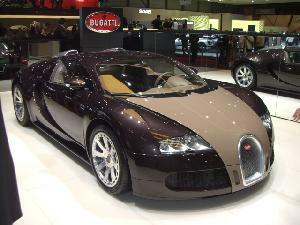 October 22, 2008 Financial crisis affecting Veyron prices? The first Veyron that I see offered on the 2nd hand market. 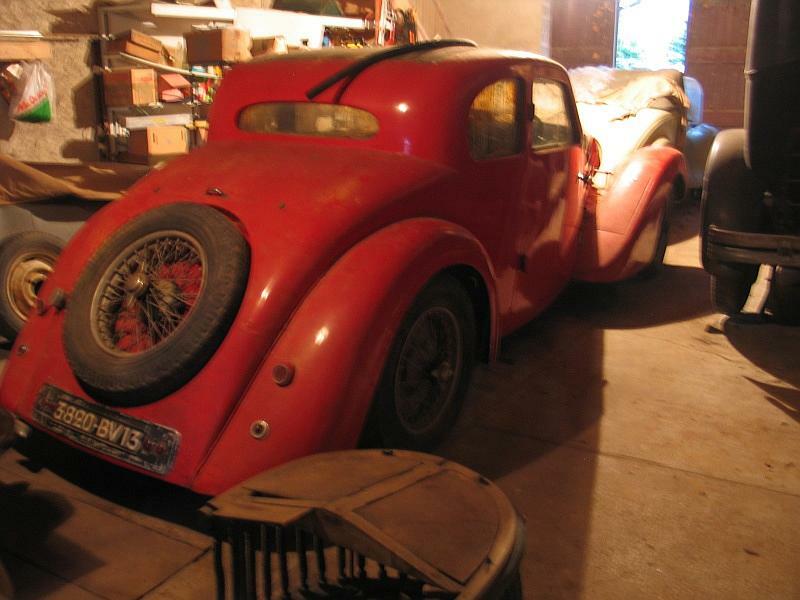 Quite a price drop, so: anybody in for a bargain Bugatti? 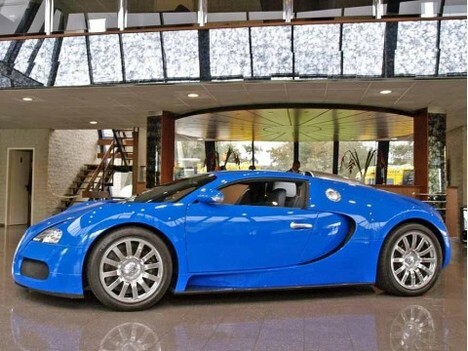 Bugatti Veyron 16.4 Bugatti Light Blue with Dark Blue leather 8.000 km,Date of delivery 27-07-2007 at Molsheim factory European car with C.O.C certificate Price Euro 895.000,-- Tax paid. Car is on stock and ready to go. Also for sale specially prepared Cartransport Truck Mercedes Atego 1523 in Bugatti Light Blue color. The first part of the trip from Le Cap on 28th December to Livingstone (Zimbabwe) on 17th January 2009: cost 12,000 Euros for 2 and 1 car. Options 2 and 3 imply that 2 teams (one taking Option 2 and the other Option 3) share the same Bugatti. The trip will go thru South Africa, Namibia, Botswana, Zimbabwe, Zambia, Malawi and Tanzania. Geneva, IL, September 4, 2008 -� A 1938 Type 57 3-Position Drophead Coupe Bugatti owned by Jim Foght of Barrington Hills, Illinois, was named 揚eople抯 Choice� at the 2008 Geneva Concours d扙legance held on Sunday August 24th along the historic streets of downtown Geneva. The weekend event抯 sold out gala dinner and silent auction proceeds helped contribute to charity for the fourth consecutive year. This growing Midwest annual event attracted more than 8,000 spectators. In honor of the 100th anniversary of the Great Auto Race from New York to Paris, the Concours invited Jeff Mahl, great grandson of George N. Schuster winning driver of the Thomas Flyer at this year抯 event to present a unique perspective of his 揋reat Gramp抯� story at the Geneva History Center for two consecutive days. Concours Director and Registrar, John Barrett, has owned and raced vintage cars and has been involved with the Concours for years. 揟his event is good for the area and really showcases the top level of automobiles that have been restored to their original glory,� he said. Cars received scores by a qualified panel of judges. 揟he craftsmanship on these cars is incredible and the individuals or teams that work on them are proud to show the cars off to those who stop by,� he added. Many of the judges on the panel have officiated at national and international events. The Geneva Concours presents the Carl F. Benz Award to each winner. 揟he Benz� award is a unique custom-designed metal sculpture in the likeness of Carl F. Benz. He was chosen for the award because he is considered to the Father of the Automobile. Guy Bellavar, a well-known local St. Charles, Illinois artist, was chosen to design and create the unique award. The Geneva Concours is held every year on the third Sunday in August. 揈ach year, the Concours Gala benefits a local charity,� stated Mary Agnes-Zellmer, Board President of the Geneva Concours. 揟he Geneva Concours is pleased to have worked to change the lives of children living with diabetes,� said Zellmer. 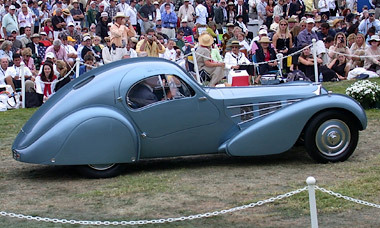 The 2009 Geneva Concours is slated for Sunday, August 23, 2009. 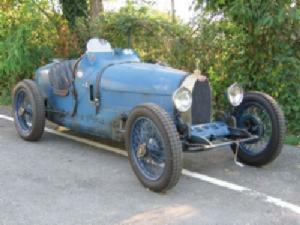 A vintage Bugatti racing car has set a record after being sold to a collector for �5 million, say auctioneers. 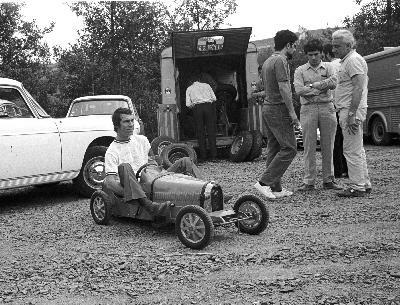 The car, Chassis No. 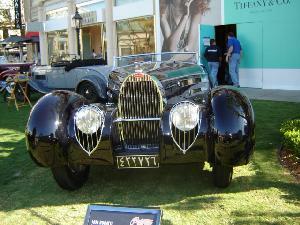 4913, like the one pictured, was the work of the brilliant Italian designer, Ettore Bugatti, whose factory in Alsace, France, earned him a reputation as the greatest maker of racing cars. The 1928 Type 35B, which competed in the first Monaco Grand Prix and has all its original components, has become the most expensive car of its kind following the private sale in Britain. The design classic, which also won the demanding Italian road race, Targa Florio, was snapped up by an unnamed "highly-regarded international collector" after being sold by its previous owner, the former Samsung chairman and billionaire Lee Kun-hee. Chris Routledge, managing director of London-based Coys auctioneers, said: "We believe it is the highest price paid for a Bugatti of this type � certainly in Britain and probably in the world. "It is an extraordinary piece of engineering. When you open the bonnet it is like looking inside a Swiss watch. "Apart from a few charming battle-scars it is exactly as it came out of the Bugatti factory. It still has all its original components and body work, which is highly unusual. It is very exciting to drive. It screams." He added: "It was in Switzerland during the Second World War, which is almost certainly what saved it from being damaged or scrapped and turned into warplanes." Prior to Mr Lee, previous owners over the past eight decades included the eccentric British car collector and pilot Hamish Moffat, who died in 2002 aged 71, and Swiss Baron Emmanuel 'Toulo' de Graffenried, who died in January 2007 aged 92. 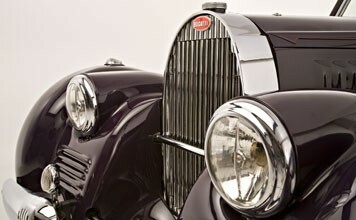 The car was the work of the brilliant Italian designer, Ettore Bugatti, whose factory in Alsace, France, earned him a reputation as the greatest maker of racing cars until his fellow Italian Enzo Ferrari began to dominate the scene in later years. Despite the Bugatti's high price tag, the most expensive car is still thought to be a black Ferrari 250 GT California Spyder bought by the BBC Radio 2 presenter, Chris Evans, earlier this year for �089,280. Ian Patton, general manager of the Bugatti Owners' Club, said: "Cars of this type are very highly sought-after by collectors. 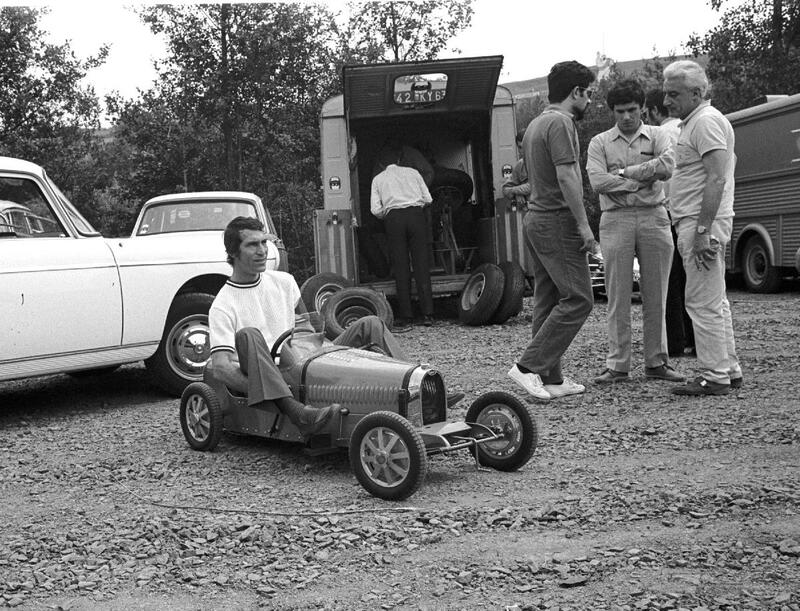 There aren't that many of them around and, because of the way there were designed and built for racing, each of them is unique." Mike Goodbun, deputy editor of Classic Cars magazine, said: "It is harder to verify prices in private sales rather than auctions but certainly this car is regarded as one of the finest of its kind and it is no surprise that someone is willing to pay for it. "In the current economic climate it is a good investment as it is unlikely to depreciate in value." Your job is, to send me the best possible caption, the funniest text that could go with the photo. This could also be the most comical remark that the mechanic makes to the driver (if he can hear it! ), or that the driver says to the mechanic! With the support of the EBA, G閞ard Vonpierre published a calendar 2009 printed in 500 numbered exemplaries, in A3 format. The photographs were taken during the last fifteen festivals of Molsheim, and most of them were taken on the road in full action. September 6, 2008 "Empereur" engine finally discovered. Thanks to Justo Miranda of the Secretprojects forum, I finally discovered what engine is the basis for the "Empereur" Bugatti Wannabe. 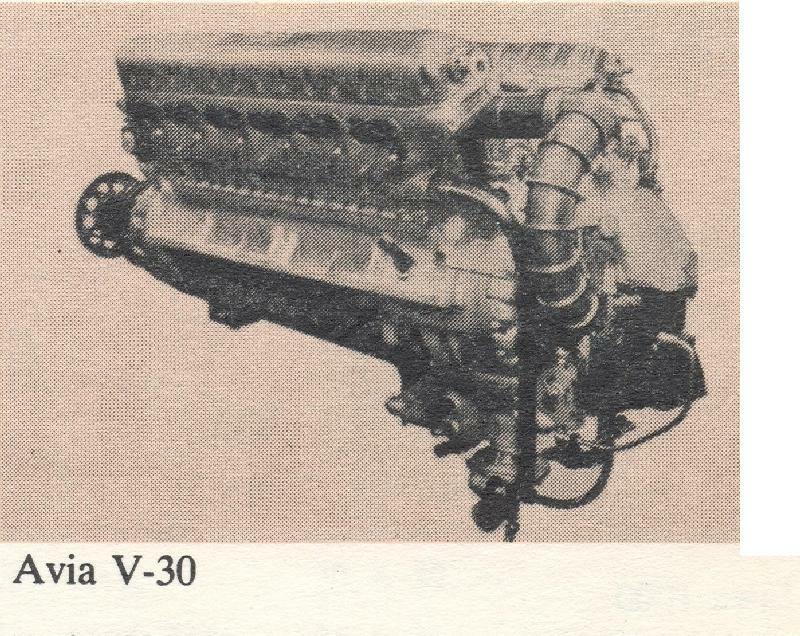 The engine is a Czech AVIA V30, of 1933, see picture above, and compare with the one below. From a Czech website I take the following info: 750 HP at 2400RPM, 700 HP at 2100RPM, 12V engine, of 140X160 cylindre dimensions, 512kg weight. 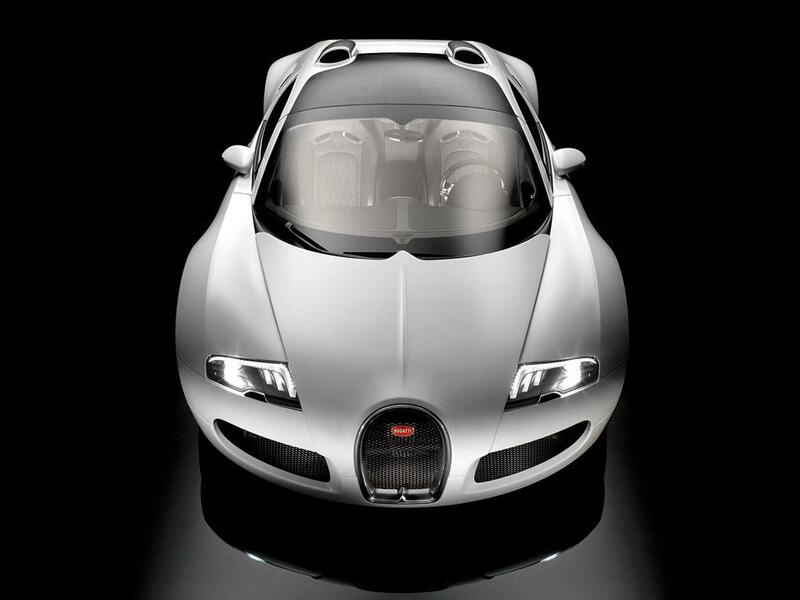 In Summer 2008, as a response to customer request, Bugatti is introducing a new model � the Bugatti Veyron 16.4 Grand Sport, a roadster with a unique, removable roof. The world抯 most exclusive car combines the ultimate in performance with the pleasure of open-top driving. The sophisticated design of its bodywork and aerodynamic components directs the airflow over the heads of driver and passenger so they feel no draught. As well as a large number of new equipment features, the Bugatti Veyron 16.4 Grand Sport also incorporates innovative structural solutions designed to ensure that the roadster offers the same extremely high levels of passive safety as the coupe. 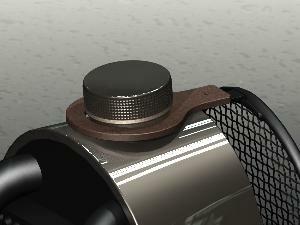 In keeping with Ettore Bugatti抯 exclusive product philosophy, many design features that make this possible are unique in contemporary automotive engineering. 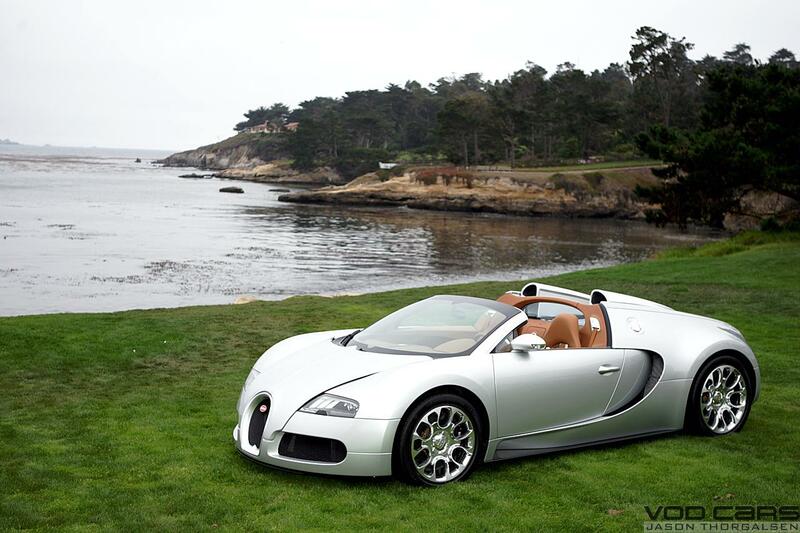 The Bugatti Veyron 16.4 Grand Sport is the world抯 fastest and most exciting roadster, and will be displayed to the public for the first time on the afternoon of August 16, 2008, outside The Lodge at Pebble Beach. The highest bidder will have the opportunity to specify their new car at the factory in Molsheim/Alsace, enjoying the special customer program there. Chassis 001 was auctioned at Pebble Beach and fetched $3,190,000. 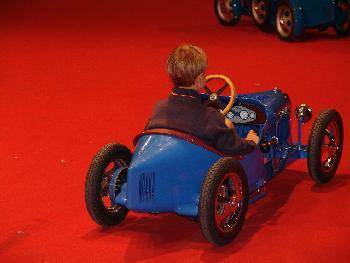 A second Grand Sport is now being produced in Molsheim, rumour is that it may be presented at next weekend's festival. 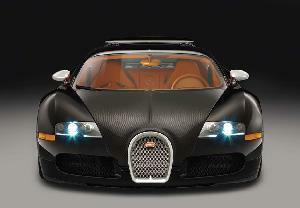 We have more information about Bugatti's plotted 920kW (1235 HP) monster, the Bugatti Veyron GT. Production of the current Veyron is set to run out by 2012, with the recently launched soft-top Grand Sport version set to be joined by a more powerful 慓T� coupe before production ends. Dr. Wolfgang Schreiber, Bugatti抯 engineering boss, thinks there is some latent power still waiting to be extracted form the 8-litre, quad-turbo W16. 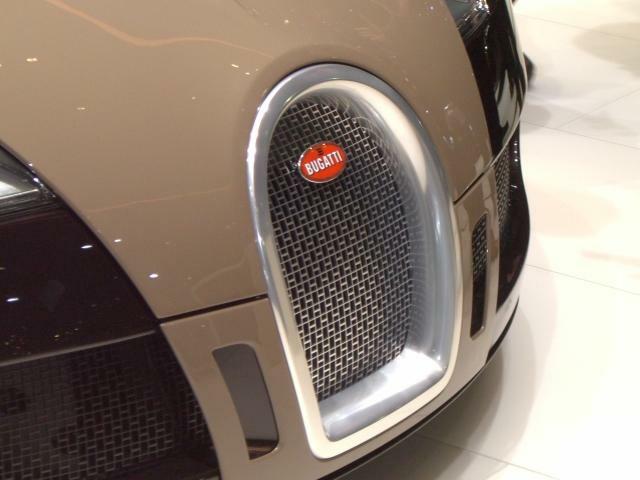 Currently the 746kW engine ensures the Veyron is good for 407km/h. With the 慓T� version Bugatti is allegedly keen on a 434km/h top speed which would necessitate 895kW of power to overcome drag. Rumour has it the boys from Molsheim are aiming for a 920kW output on the 慓T�, which means you抣l be able to run the climate control whilst attempting a top end run � nice. The winner of the Concours d'閘間ance Paleis Het Loo was no Bugatti, the most beautiful car there was an Alfa Romeo 6C 2500 Pininfarina from 1949. The event, visited by 16,000 people, saw the appearance of 6 Bugattis, a T55, a T54, a T37, a T35A and a Brescia. Olav Glasius won the sprint race in his Bugatti T54, see picture above (alongside the T35A, photo by Martijn Visser). And the 6th Bugatti? That was the 1938 Bugatti Atalante (57753), which was auctioned by RoyalDutchCarauctions and reached a high bid of 550.000 euro. This was not enough for the Bugatti to be sold, as the estimate was 680.000-750.000 Euro. It seems that the estimate in the first publications (450.000 to 650.000 euros) was more realistic. The last time a Bugatti was auctioned at the Concours d'閘間ance Paleis Het Loo, in 2003, also a T57 Atalante (57432), it fetched a clean half million. September 2, 2008 Caption Contest! 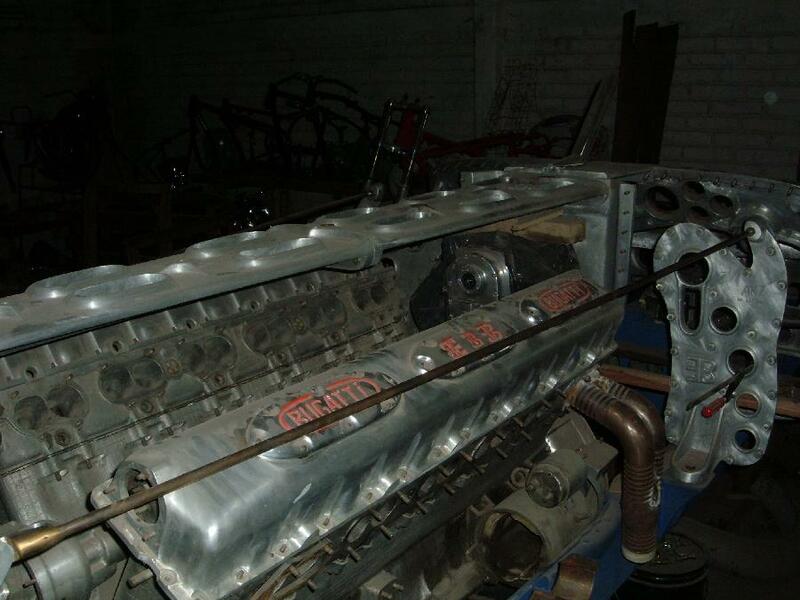 The above picture was sent to me by Michiel van den Brink (designer of the VandenBrink GTO ). I know who is it, and where. Your job is, to send me the best possible caption, the funniest text that could go with the photo. This could also be the most comical remark that the three men on the right could be saying to eachother. Gooding & Company, the official auction house of the 58th annual Pebble Beach Concours d扙legance(R), elevated car collecting to an art form once again as 74 of the world抯 rarest and most spectacular automobiles crossed the auction block during this first night of its two-night auction. Led by accomplished auctioneer Charlie Ross along with highly respected Gooding & Company founder and president David Gooding, an international crowd watched as the hammer hit the gavel for the Monterey Auction Week抯 marquee event. The evening featured numerous top private collections and individual legendary automotive objets d抋rt including the highly anticipated Williamson Bugatti Collection, the Carl J. Schmitt Collection and the Oprah Winfrey Charity Car Collection. Total sales for the evening exceeded $31.5 million. The centerpiece of the Williamson Bugatti Collection set an all-time Pebble Beach auction record with a $7.92 million sale of the stunning 1937 Bugatti Type 57SC Atalante Coupe. Take a look at the estimates and bids; many of the cars went for far less than there estimates or were not sold, while a few others (notably the Peugeot and the T52) went (far) over their estimate. Bugatti plans to publicly unveil its long-rumored Veyron Targa in mid-August at the 2008 Pebble Beach Concours d'Elegance, company sources confirmed to Inside Line, with production scheduled to begin in 2009. The Targa will get a removable hardtop, as well as an expandable fabric cover that clips into place. The chassis will be reinforced, and top speed will be limited to 217 mph. Beginning next year, the Targa will be assembled in very small numbers alongside the existing Veyron coupe. There is no official word yet on price or volume. But with the Veyron coupe now selling for upwards of $2 million, the Targa is expected to fetch a premium of at least $250,000 above that. Production is expected to be limited to no more than 75 or 80 units. Bugatti plans to show its Veyron Targa to the public and press in August at the 2008 Pebble Beach Concours d扙legance. 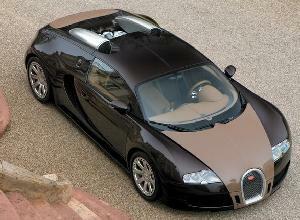 Starting production in 2009 only 80 Bugatti Veyron Targa抯 will be build. Prices are expected to be around � 1.140.000. Our sources further tell us there are currently three Veyron Targa mules nearing completion. 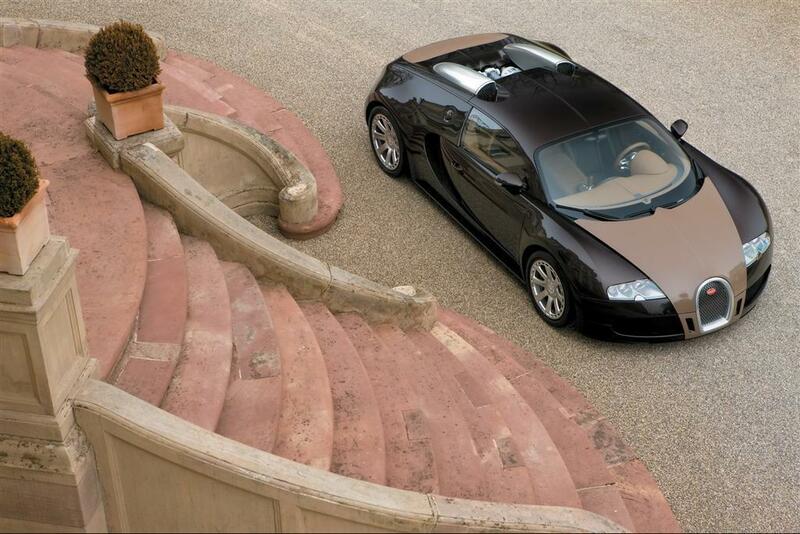 The Bugatti Veyron Targa has a removable hardtop and reinforced chassis. Due to technical limitations of the developed hardtop and increased weight the top speed will be limited to 217 mph (350 km/h). 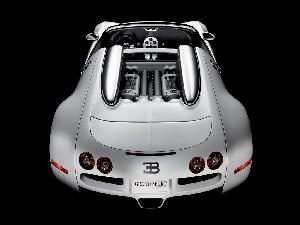 The Bugatti Veyron Targa will be assembled in Molsheim alongside the current Bugatti Veyron. 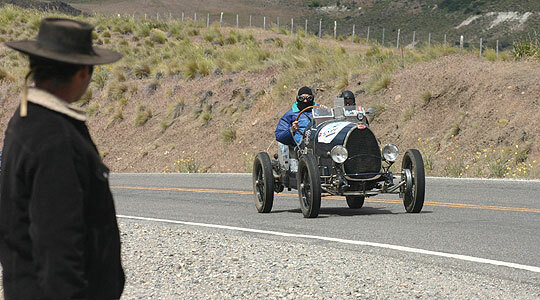 Argentina抯 equivalent of the Mille Miglia retrospective, the 1000 Millas Sport Argentina, has been running for 20 years. In November, more than 200 historic vehicles built between 1915 and 1981 will again take to the roads of Patagonia, with its lakes, valleys and mountains. The 1000 Millas route for 2008 includes cities and towns such as San Carlos de Bariloche, San Mart韓 de los Andes, Villa la Angostura, Jun韓 de los Andes, Circuito Chico, Villa Catedral, El Bols髇, and the Puyehue Hot Springs, in Chile. Each stage will start and finish at the magnificent Llao Llao Hotel & Resort where, the organisers tell us, 慳t the end of each day, men and cars will rest�. (But perhaps the ladies � for many are entered � will remain busy? Such is life.) Competitors from previous years confirm that heading out each day from a central base allows for a far less stressful schedule than is imposed by a 1000-mile dash from Brescia to Rome and back to Brescia. And what competitors there have been: luminaries from Sir Stirling Moss to Jacques Laffite, and from Ren� Arnoux to Carlos Reutemann, all have taken part in Argentina抯 Mille Miglia in the years gone by. (Notably, it was also the very last event in which the charismatic Swiss Grand Prix driver Clay Regazzoni participated, before his death in a road accident in Italy the following month.) Informal it might be, but this is no Sunday drive in the country. The event is run by the Sport Automobiles Club of Argentina (CAS) and is now part of the FIVA world calendar. The entries are grouped into Sport, Grand Touring and Touring categories, with further divisions according to marque and engine capacity, plus awards for ladies, journalists, personalities, newcomers and habitu閟. For more details, see www.1000millas.com.ar. One of the star attractions will be a 1926 Bugatti Type 37 GP Racing car which regularly competed in the Australian GP at Phillip Island before the Second World War and secured a number of major placings on many occasions. On Sunday, October 12, The Americana at Brand will host the exclusive Caruso Concours d'Elegance event presented by the Petersen Automotive Museum. From 11 a.m. to 4 p.m. the most elegant and exotic cars from some of the most famous collections in the world will be on display on the lawn of The Americana at Brand. Visitors will get an up close look at 35 classic cars worth more than $85 million dollars including, 1925 Rolls-Royce Phantom I Aerodynamic Coupe, 1939 Bugatti Type 57C, as well as Bentley, Mercedes, Packard, Duesenberg, plus other rare and valuable makes. The event will be open to the public at no charge. WHEN: Sunday, October 12, Event will be from 11 a.m. to 4 p.m.
WHERE: THE AMERICANA AT BRAND - Cars will be displayed on the lawn area. The Americana at Brand is bound by Brand Boulevard, Central Avenue and Colorado Street in downtown Glendale - enter parking from Central Avenue. 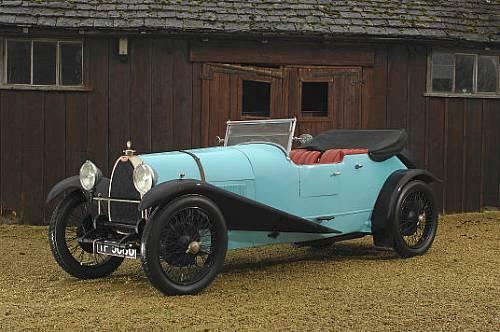 1924 Bugatti Type 30 Dual Cowl Tourer On auction by H&H at the Haynes International Motor Museum. This car was purchased in 1977 by the late Rosemary Burke as a complete rolling chassis from Jack Wade, the Licencee of the Lord Clyde, Choppington, Newcastle upon Tyne. 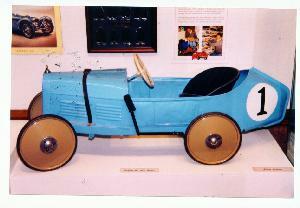 The body was removed pre-WW2 by three friends who had intended to make it into a racing car. Only one of the three came back from the war and he sold the car to Jack Wade. It was then kept in Jack抯 barn untouched for 30 years. Between 1977 and 1980 the car underwent a refurbishment, including a Gordon Allen crankshaft and con rods (the original crank was cracked); new pistons, valves etc. 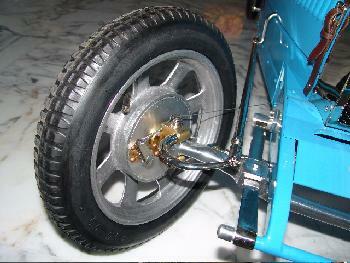 A higher axle ratio and SU carburettors were fitted and the front brakes were improved. A modern prop shaft and a modern oil filter which protects the bearings and cures the problem of waiting for oil pressure were fitted. 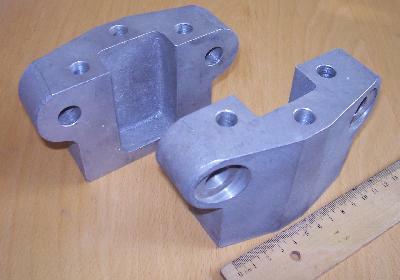 In 1988 the cylinder blocks suffered cracks, these have been repaired and new pistons made and all seems well. 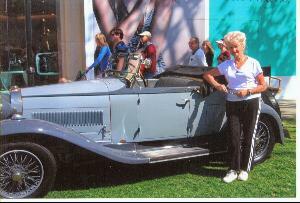 The leather used to trim the car was given to Rosemary Burke by a director of Gucci. A new body, based on the Lavocat et Marsaud style, was built and the car was once again on the road and used for continental rallies by Rosemary. All the parts replaced are available and will be sold with the car. 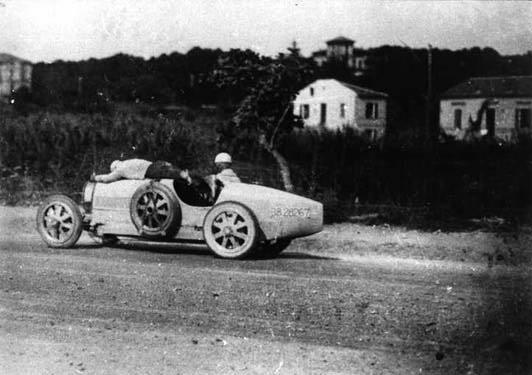 Chassis number 4664 was completed by the factory in 1926 and delivered new to Colonel W. Sorel of London, where the first pair of hands to touch the car were those of celebrated racing driver Malcom Campbell, who had recently been appointed as the sole official UK distributor of all Grand Prix Bugattis. 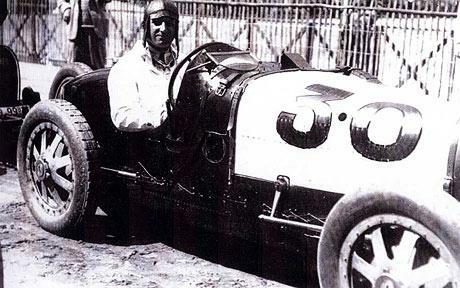 Campbell was a legend in his own time, and broke no fewer than nine land speed records between 1924 and 1935, with his first record being broken in 1924 in a 350hp V12 Sunbeam. His last attempt saw the then-Sir Campbell being the first human being in history to reach 300mph in an automobile. 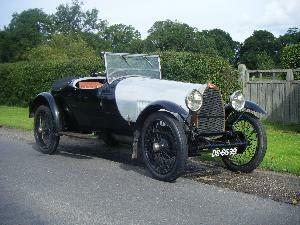 This car was originally assigned the registration number TN 4716, with the "TN" signifying that it was registered in Newcastle-Upon-Tyne between 1925 and 1929. 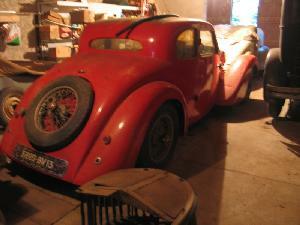 The car is in excellent original condition, with all correct parts and details present. It is described by the vendor as being in superb running order, with all road equipment functioning perfectly, and is fully race-ready. 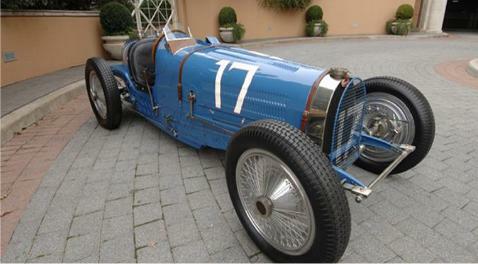 In a report dated October 2008, the highly regarded independent Bugatti consultant David Sewell notes: 揟here is absolutely no doubt whatsoever over the authenticity of not only every one of its major components but additionally virtually all the minor ones as well.�P> More recently, the car has competed successfully in the Mille Miglia on three occasions, including in 2007, when stringent new regulations came into effect relating to the authenticity of participating cars. 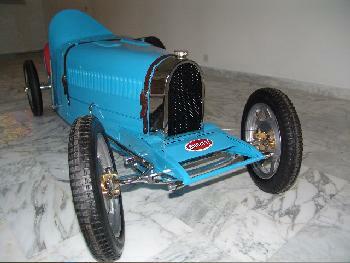 In addition, it has also competed in the Bugatti Club's Giro di Sicilia event. 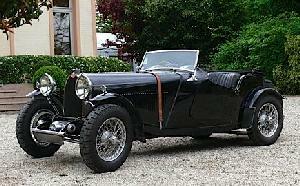 1938 Bugatti T57C Atalante, chassis 57766, estimate 560,000 - 660,000 GBP. 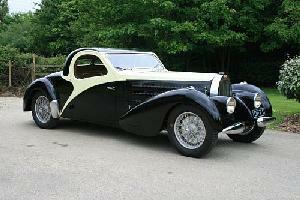 1937 Bugatti Type 57 Ventoux Coupe, chassis 57614, estimate 250,000 - 300,000 GBP. (1934) Bugatti Type 55 Recreation, chassis BC92, estimate 225,000 - 280,000 GBP. 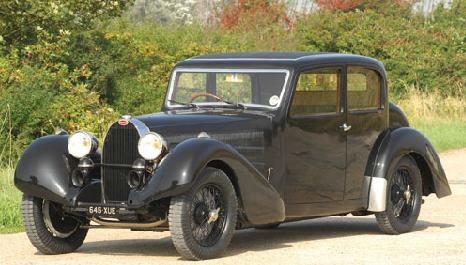 (1932) Bugatti Type 35B Recreation, chassis 280B0, estimate 125,000 - 168,500 GBP. 1936 Bugatti Type 57 Galibier, chassis 57415, estimate 130,000 - 170,000 GBP. 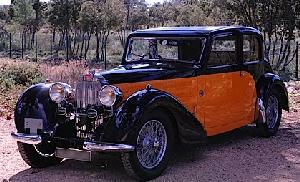 This year we have over 100 foreign cars including 12 Bugattis ! 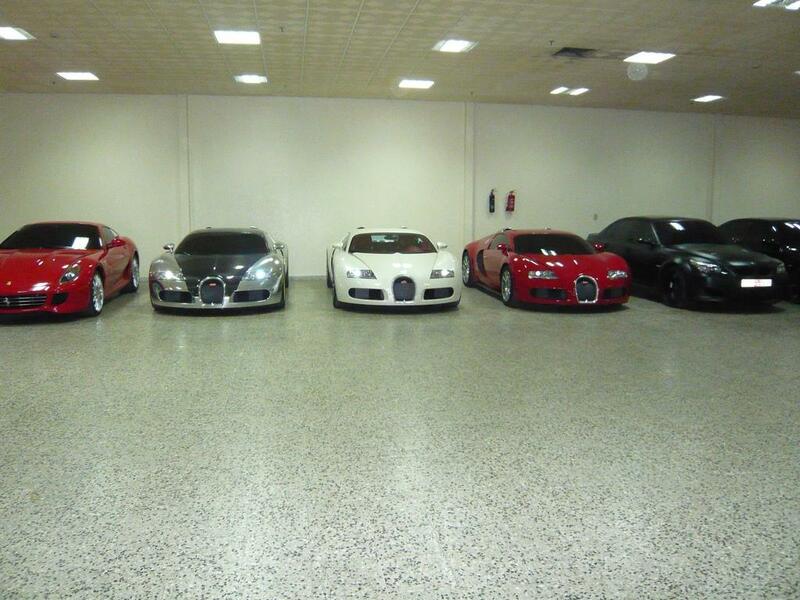 Our goal is to have over 50 Bugattis and a Bugatti cujp in four years time. There will be in excess of 200 cars this year and its a really visually spectacular circuit arouond the grand Harbour. The entrance fee of 5000 euros includes ten days of events , five star hotels, racing in Sicily on the Syracuse track and the Mila Flores run, and of course Valletta. More details are available on www.grand-prix-de-malte.com. June 28, 2008 Malmerspach collection sold! The famous collection, the remains of the Schlumpf collection now in the Mulhouse museum, owned by Arlette Schlumpf (who died May 18 of this year) has been sold ! The story is more than well known, yet not all the details. In 1976 the massive - secretly gathered - Bugatti collection of the Schlumpf brothers was confiscated by the French government. 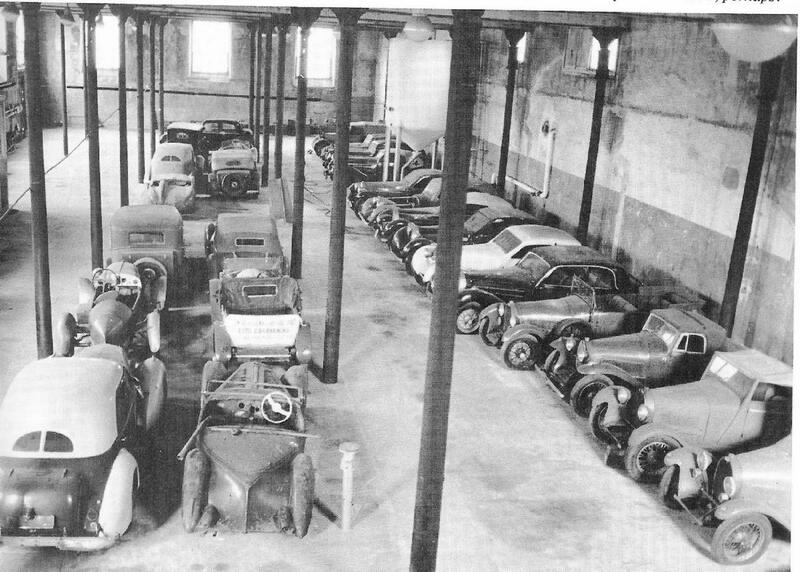 Aside the collection there was a 'reserve' of a large number of cars which were in depot in the small village of Malmerspach. 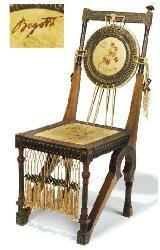 In 1999 - after the demise of both Hans and Fritz Schlumpf - this 'Malmerspach collection' was returned to Fritz' widow Arlette Schlumpf, as a gesture, a symbolic compensation of the French government. Not much happened with the cars since then up to May 18th of this year when Mrs. Arlette Schlumpf passed away. Obviously she had made up her mind about what to do with the car collection before she passed away. 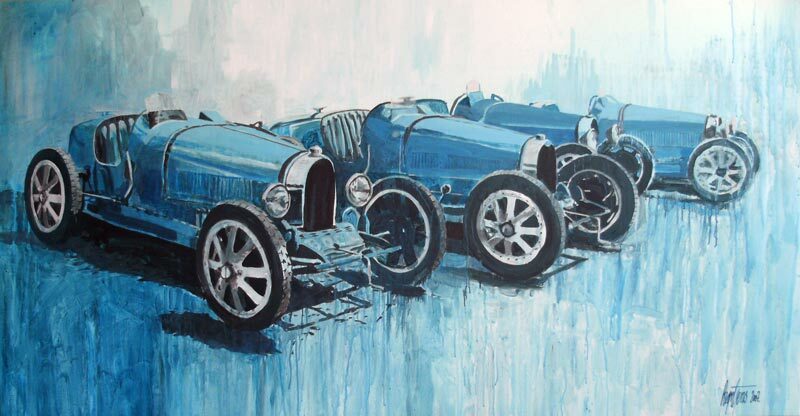 The largest collection of unrestored Bugatti cars ever was bought by Bugatti (and classic car) traders Bruno Vendiesse and Jack Braam Ruben. At this point plans are being made in what way to handle the collection. The collection exists of 62 unrestored cars, containing 17 Bugattis, including ten T57 and has been brought to Switzerland in 1999. 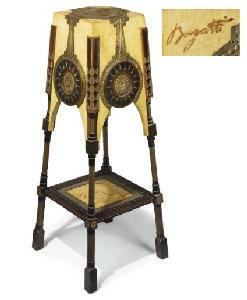 Santa Monica, CA, June 15, 2008 -� Gooding & Company has been selected to represent the sale of the Dr. Peter and Susan Williamson Collection of renowned Bugattis. 揟his is the finest collection of Bugattis ever to come to auction,� states David Gooding, President and Founder of Gooding & Company. 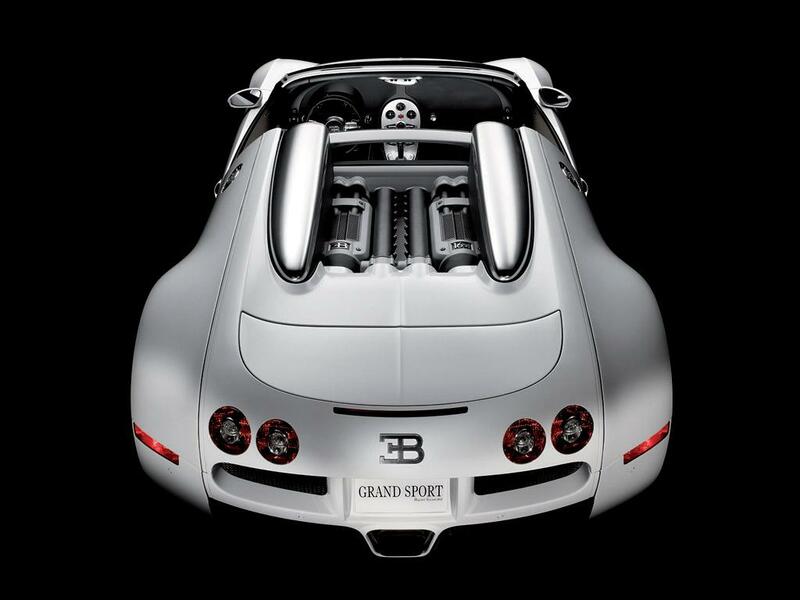 揟his exceptional collection includes some of the world抯 most unique Bugattis - from exhilarating Grand Prix machines to elegant road cars.�P> The late Dr. Williamson was the past President and longtime member of the American Bugatti Club. 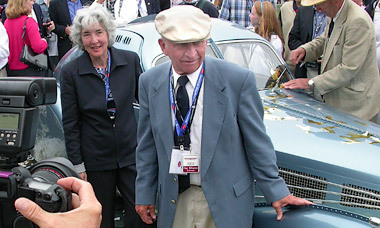 Dr. and Mrs. Williamson also won the prestigious 揃est of Show� at the 2003 Pebble Beach Concours d'Elegance. No date has been set for the auction, it will of course be the most spectacular Bugatti auction ever, maybe even the most spectacular Classic Car auction ever. The entire collection of course is build up of the finest examples of Bugatti's Automotive Art, the finest example in the collection however stands high above all others. It is the Bugatti T57SC Atlantic, only one of two remaining. 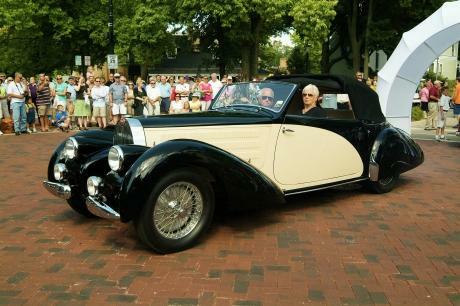 To the more general classic car public he will be known from winning the "Best of Show" prize at the well-renowned Pebble Beach Concours D'Elegance vintage car show in 2003, with his, then newly restored, Bugatti T57SC Atlantic. He was different from many other owners of prize-winning classic cars, in that he actually used his cars to drive; he took part in his Atlantic in the 2005 USA Bugatti Rally in Elkhart Lake. During this rally, the EAA Museum in Oshkosh was visited, where the Atlantic was united with the Bugatti 100P Airplane which Dr. Peter Williamson had owned, and had donated to the museum. A memorial service for family and friends will be held in remembrance of Dr. Williamson at his home on June 21, 2008 at 3 pm. Gifts in memory of Dr. Williamson may be made to one of two teams honoring Dr. Williamson through their participation in this summer's Prouty Bike Ride: "The Bradley Bunch" and "Team Bugatti". The Prouty is a fundraiser for cancer research and patient services at the Norris Cotton Cancer Center. To make a donation visit: www.theprouty.org or mail checks payable to Friends of NCCC, to One Medical Center Drive, Lebanon, NH 03756. Williamson was a professor of Medicine at Dartmouth Medical School, the founder and director of the Comprehensive Epilepsy Center at Dartmouth-Hitchcock Medical Center, and served as co-chair of the Transforming Medicine Campaign for the university and its hospital. 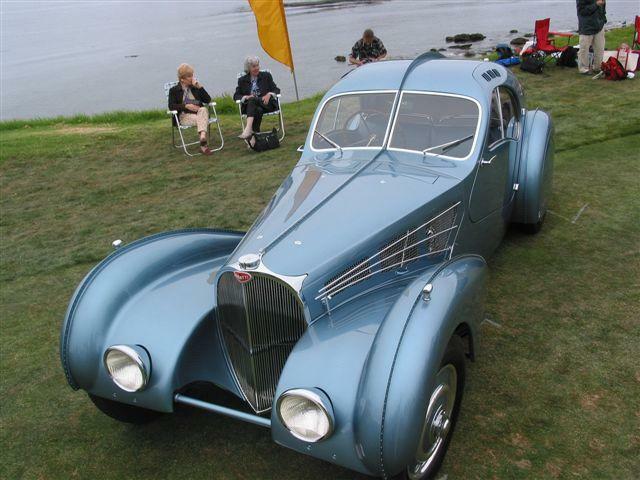 The 1937 Bugatti Type 57 Sports Saloon (chassis 57443) which was offered by H&H last Sunday was bought by an Irish enthusiast for a hammer price of �0,000 (�3,000 including our 10% buyer抯 premium, some forty percent over low estimate). The gentleman in question had dreamt of owning a Bugatti since he was a teenager and as you know the lady who sold the car had been driving it since she was eighteen. It was the last of seven Bugattis to pass through her family抯 hands. The pillarless four-door was in careworn but highly original condition. Reputedly a one-off, its beautifully detailed coachwork and delightful patina captivated the Irish enthusiast who fulfilled his teenage dream. The Type 57 journeyed back to Ireland under its own power on Monday! It seems as though any time I take on a special project, it generates controversy. This has proven especially true of any Bugatti project I have been involved with, although none has created as big a fur-ball as the Aerolithe. The Aerolithe was lost some time before or during the Second World War. Nobody really knows exactly how or when it disappeared. There have been sightings of the car ranging from the Caucasus to New Jersey. The sad fact is that, in all probability, the car will never be found. Now, as all myths are wont to do, a certain amount of speculation has arisen not only regarding the Aerolithe's disappearance but its actual fabric, the parts from which it was built. The Aerolithe closely resembles the later Atlantiques -- which are arguably the most famous Bugattis -- and which put in appearances at prestigious concours the world over. There were three Atlantiques produced, although this number has been disputed as well. Later, the premise that the car was supercharged was laid to rest. In a couple of photographs of the Aerolithe, one can see the intake manifolds of a non-supercharged engine through a cooling screen in the hood. That left the myth that the car was built on a special S chassis, which was also called a gondola chassis as it was curved at the back end to be used in the Torpedo roadster that mimicked the Bugatti Grand Prix cars. 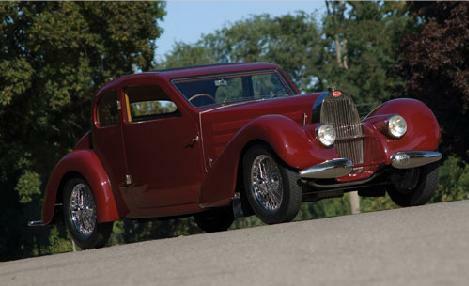 It turns out there are few supposed Bugatti experts who hold dear the belief that the Aerolithe had a gondola chassis. This is despite the fact that it would be silly to build a bloody great coupe on a skinny little chassis that curved under the car at the back and which would have left the rear wheels dangling feet away from the chassis rails. When I stupidly made these observations in the Bugatti club newsletter, it caused a furor that still continues a couple of years later. While I thought it amusing at first -- and had clearly stated our intentions and relative apathy -- the flames of controversy grew, fanned by armchair experts. The attacks on my own credibility and that of the car we were building escalated. I am reasonably patient and I really don't care what people think of me. Neither am I scared of controversy. But there were charges that needed to be answered. It is most satisfying that, as we build the car, the process itself supplies us with irrefutable engineering proofs and answers to questions and suppositions that have existed for years. In answer to these, those with a differing point of view have actually dragged out plans and engineering drawings that for the most part are completely unrelated to the Aerolithe, hoisting them as proof. They have pointed out that the plans come from the same time period as the Aerolithe, therefore, they must be the Aerolithe. Of course, that patently ignores the fact the Bugatti factory was likely building more than just one automobile that summer -- but why let facts stand in the way of fervent belief? Finally, we actually dedicated ourselves to a serious amount of research, which we backed up with sound engineering proofs and common sense. This has all been bundled up and sent to the club newsletter. Now, it remains to be seen whether we have spread oil on troubled waters, sunk somebody's battleship or escalated the argument. What amazes me is that I have support from learned enthusiasts all over the world. I recently received an e-mail from someone in South Africa who, after hearing of the controversy, set to doing his own research. He has not only backed many of the same conclusions we stumbled on but has actually added other fairly weighty conclusions of his own. The controversy is not just confined to the club paper; it has spread across the Internet and is now found almost anywhere things Bugatti can be found. I suppose this is not a bad thing. It certainly means there are a lot of people waiting to see the finished car. I had better get it right. Prince Joachim, son of queen Margaret of Denmark, was married Saturday the 24th of May, to fran鏰ise Marie Cavallier, attending were many famous persons and Scandinavian Royalty. 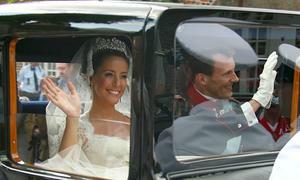 Marie Cavallier will be the new princess of Denmark. 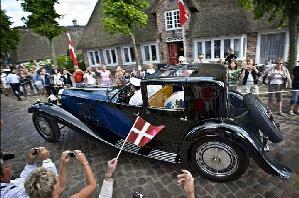 The trip from the church was made in the Bugatti Royale, Coupe Napoleon! Ettore would be glad, as he had intended his masterpiece for Royalty, though no head of state ever bought one. But, look at the details! This is not the real thing! This is in fact the Tom Wheatcroft replica, which usually resides in Tom's museum, near his circuit, Donington Park, UK. But then, if the car is a replica, what is the Prince? Maybe Marie should be carefull, Joachim may turn back into a frog when she kisses him! 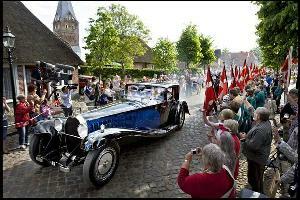 Unluckily, the filming of the movie about Rembrandt Bugatti has stopped. Director Jean-Charles Wolfarth walked out on the filming company, saying that the money had run out. There was a stroke of bad weather in Alsace while filming, so that filming went much slower than foreseen. Also, a replica Lilienthal "Airplane" was damaged and though it was insured, there were additional cost, so that the film maker was set even more. Some of the actors tried to convince Wolfarth to try to restart filming, but his mind was not to be changed. Maybe somebody knows an investor for this movie? 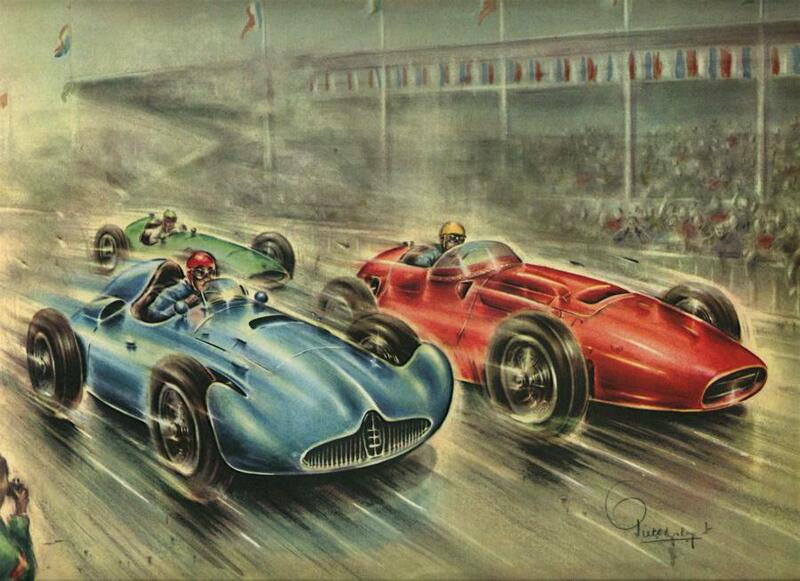 Painting by Sheridon Davies: "Picture Yourself", one of several with Bugattis appearing. During the weekend, on the 31st, there will be a classic car auction, with probably as most interesting offer the 1955 Ferrari 212 Inter originally owned by His Royal Highness the late Prince Bernhard of The Netherlands. 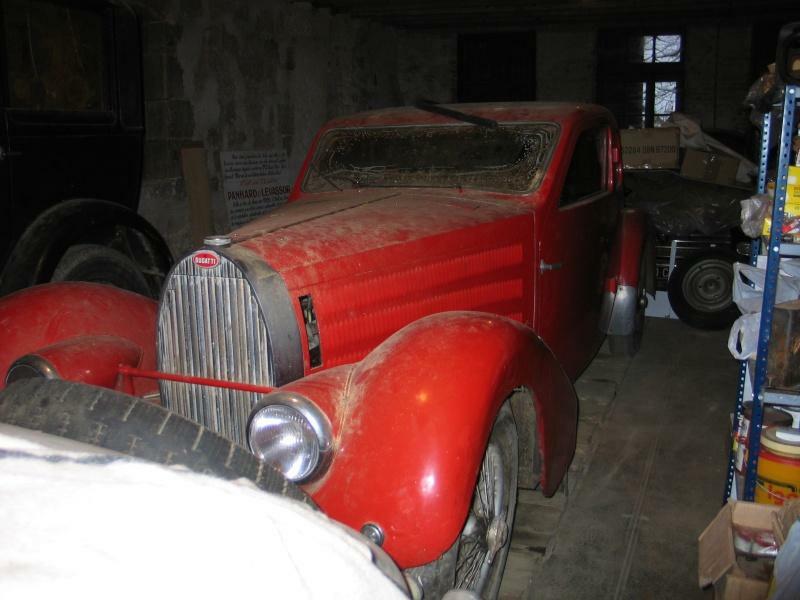 But of course there will also be something else; a 1938 Bugatti Atalante (57753) in pristine condition, which is expected to fetch 680.000-750.000 Euro (the estimate in the first publications was 450.000 to 650.000 euros). Having kind-of a Deja-vu, Kees? This is the 25th Festival, every year in Molsheim. Each year on the third weekend in September, a classic cars race takes place in the French town of Angouleme on a street circuit unchanged in layout since it first hosted an event in 1939, the high spot of the program is a race devoted to Grand Prix Bugatti. Situated some 70 miles to the north of Bordeaux, Angouleme is located in the heart of Charente district with an attractive town center and its cathedral occupying the high point in front of which lies the start line for the racing. The meeting takes the form of an entire week-end festival beginning with a Concours d'Elegance under floodlights in a natural amphitheatre alongside the rampart walls on the Friday evening. 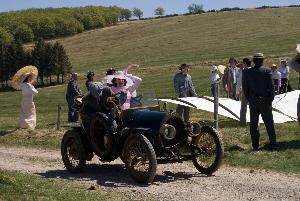 Saturday commences with a Rallye Touristique Internationnal ; late afternoon sees a Concours d'Etat on the lawns around the H魌el de Ville in the center of town before adjourning to a buffet supper where the winner of the Concours d'Etat is awarded with his or her height in bottles of Cognac. Sunday morning open with practice on the circuit for the afternoon's racing, and for new entrants it is the only opportunity to drive on the closed streets before being let loose in a race. numbered 358A, short-chassis type, in traditional yellow, with 'silver' brightwork, the panelled bodywork with cut louvers and removable bonnet held by leather strapping, now lacking, the wheels and spare fitted with pneumatic tyres, cable operated expanding wooden shoe braking system, powered by Paris-Rhone 12 Volt battery operated electric motor, with geared drive to rear axle, steering worm drive steering box via drag link, the seat back squab lifting out to reveal mechanisms, 74in long. Popular among sporting Europeans is the Bugatti, a smart, small, high-powered automobile capable of 90 miles per hour without threatening to disintegrate or fly off the road. Ettore Bugatti, an Italian, manufactures this swift vehicle in Alsace, France. Last week, after a long conference with Premier Mussolini about building Bugatti automobiles in an Italian factory, Signer Bugatti revealed that he is also making a Bugatti boat梐n all-steel "cigar," 82 ft. long, 10 ft. in diameter, which he said will be able to cross the Atlantic in two days. It is designed to travel half-submerged. Tubes in the upper surface of the whalelike hull inhale air. The engines, developing 2,400 horsepower, will propel the craft 62 m. p. h.* It will carry eight passengers and enough fuel for 60 hours cruising at top speed. Before the end of 1927, Signor Bugatti hopes to send his boat on its maiden voyage to the U. S.
*The Cunard liner Mauritania, swiftest on the Atlantic, has attained a speed of 27 knots (about 31 m. p. h.). She crosses the Atlantic in slightly under five days. The speediest U. S. motor boats (such as those owned by Gar Wood) travel at 80 m. p. h.
I found this article by pure coincidence, apparently Time put old articles on their website. Of course most of us know about Bugatti's project for this extremely fast ocean liner, but who knew about Bugatti's plans to build automobiles in his own country, Italy? Does anybody have more info about this venture, that obviously did not take place? 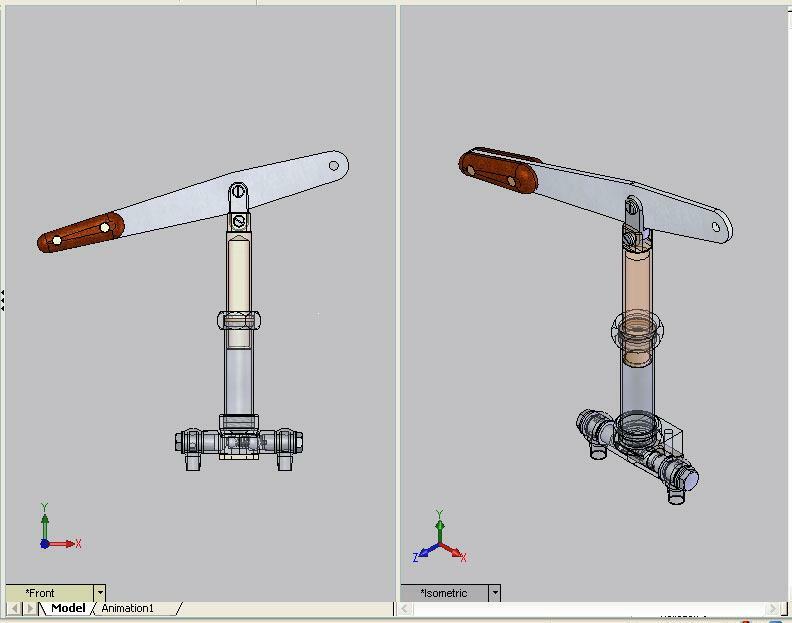 The Bugatti Aircraft Association just received two parts, which were most probably intended for the Bugatti Airplane. 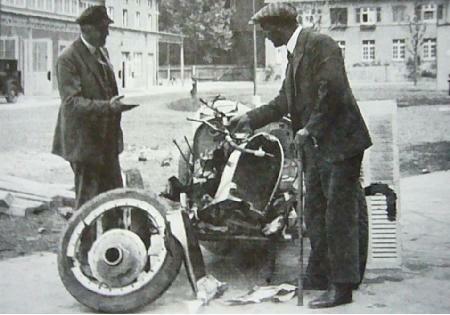 The two identical parts were offered to BAA president Jaap Horst by Norbert Bukowski, to be placed on the "parts for sale" page of Jaap's Bugatti site. Jaap compared the photographs he had received from Norbert who identified the parts as "possibly T64" , with all drawings and photographs of the Bugatti Airplane that he has in his files. Jaap finally encountered one photograph with similar parts from the collection of Jean Louis Arbey, who has various Bugatti airplane parts in his possession. Read all about it on the BAA website! From 8 May onward, a filming company has started near the Barr museum, to shoot scenes for a movie on Rembrandt Bugatti. 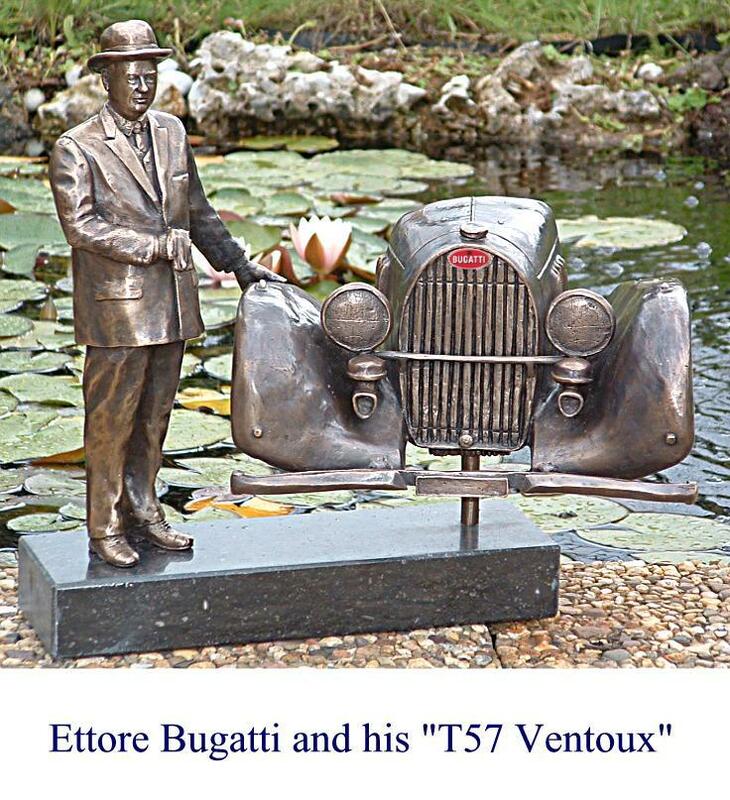 Ettore's brother in his art was as famous as Ettore was for his cars, and his bronzes nowadays fetch similar prices. Rembrandt started making sculptures at the age of 16, the first ones were made of wood. He adoed animals, an this was te subject of most of his sculptures. The German Director Jean-Charles Wolfarth, 35 years ols, relates an episode of Rembrandt's life in 1912, in which he visits his brother Ettore in Molsheim. There will be 4 to 5 weeks of filming in the Alsatian area. The actors are all French: Fr閐閞ic Lanoue interpretes Rembrandt, Olivier Guillermain is Ettore and C閘ine France incarnates Barbara Bugatti, Ettore's wife. Depuis le 8 mai, une 閝uipe de cin閙a s'est install閑 � la Folie Marco, le mus閑 de Barr, pour y tourner les int閞ieurs d'un film sur la vie de Rembrandt Bugatti. Peu connu, le fr鑢e d'Ettore, p鑢e des fameuses Bugatti, n'en 閠ait pas moins c閘鑒re de son vivant. Carlo Bugatti, leur p鑢e, originaire de Milan, 閠ait un peintre connu, Rembrandt, son fr鑢e, et Deanice, sa soeur, ont vu passer moult artistes dans la maison familiale en Italie. Le but du film est de r関閘er Rembrandt au public. Son parcours artistique a laiss� une belle cr閍tion de sculptures. Rembrandt a commenc� � cr閑r � l'鈍e de 16 ans. Ses premi鑢es sculptures furent r閍lis閑s en bois. Il adorait les animaux et sa premi鑢e oeuvre, une vache beuglante en bronze, date de 1901... Le metteur en sc鑞e allemand Jean-Charles Wolfarth, 35 ans, relate dans son long m閠rage un 閜isode de la vie de Rembrandt en 1912. On y assiste � la visite chez son fr鑢e Ettore � Molsheim. La dur閑 de tournage en Alsace est de 4 � 5 semaines. Les acteurs sont tous fran鏰is : Fr閐閞ic Lanoue interpr鑤e Rembrandt, Olivier Guillermain joue Ettore et C閘ine France incarne Barbara Bugatti, la femme d'Ettore. Some footage shot during the Spring Rally will be broadcast in the Dutch program "Gek op Wielen", channel RTL7, on july 6, 18.00 hour. For its fourth edition, Le Mans Classic will be held on the big circuit of Le Mans on 12 and 13 July. 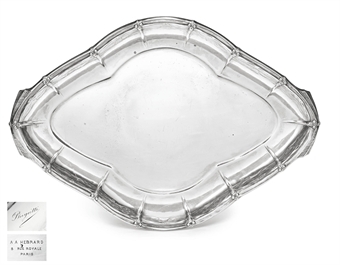 The organizers have published a preliminary list of entrants, a list which meet six trays, ranging from 1923 to 1979. 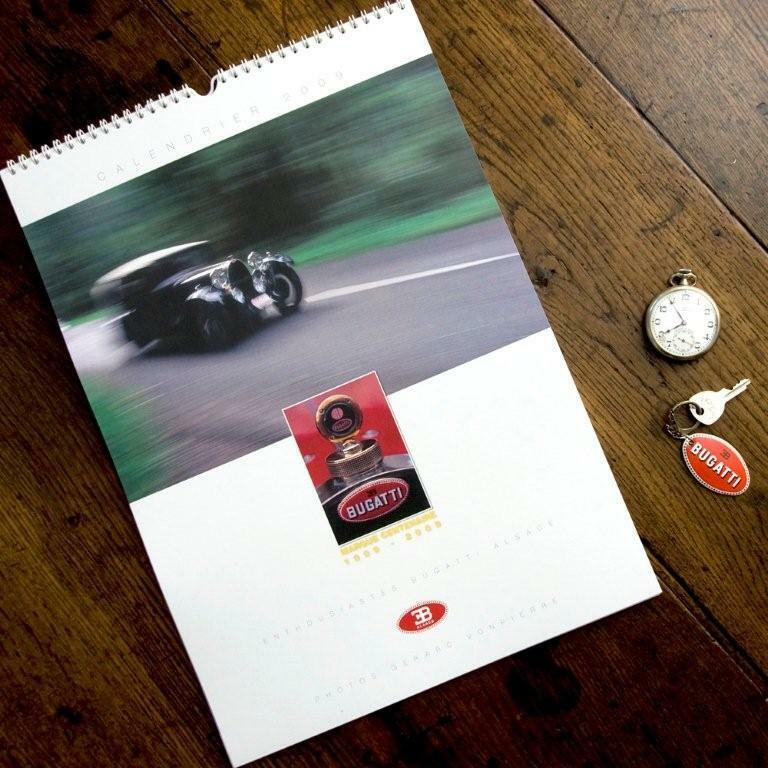 As in every edition, the Bugatti brand will be well represented. At the moment, this list is far from complete, it will be enriched in the following weeks. THE BUGATTI ROYALE COUPE NAPOLEON ON THE ROAD TO THE "SAINT-CLOUD CONCOURS D'ELEGANCE"
It is by road that the famous Coupe Napoleon, Ettore Bugatti's personal car, will make its entrance at the Saint-Cloud Elegance Competition. The Coupe Napoleon is one of the seven Bugatti Royale chassis built between 1926 and 1933 and incontestably the most exclusive car in the world. Admiring its lines is a pleasure; seeing it in motion is a privilege. The Coupe Napoleon will be driven to Paris the day before the "Saint-Cloud Concours d'Elegance" opens and will certainly be the crowning glory of the event. 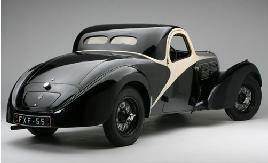 The Cite de l'Automobile (National Museum Schlumpf Collection http://www.collection-schlumpf.com), which owns the Coupe Napoleon, thus joins the ranks of partners of the "Saint-Cloud Concours d'Elegance". Artcurial, which has backed the "Saint-Cloud Concours d'Elegance" from the outset, will of course welcome the Coupe Napoleon when it graces Paris with its presence. Pending this event, the team at the prestigious auction house is pleased to announce the first cars registered in the day's auction, scheduled during the "Saint-Cloud Concours d'Elegance": a 1958 Pegaso Z102 Touring, Bugatti Type 40 roadster with compressor, a 1934 two-seater Alfa Romeo A6C 2300 Spider, a 1913 Brasier 15hp limousine, an original saloon in perfect condition, and a first-hand Delage DM with bodywork by Autobineau. 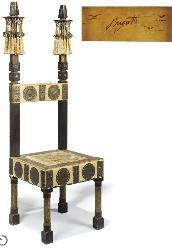 For more details on the auction, please contact Francois Melcion at Artcurial - fmelcion@artcurial.com. 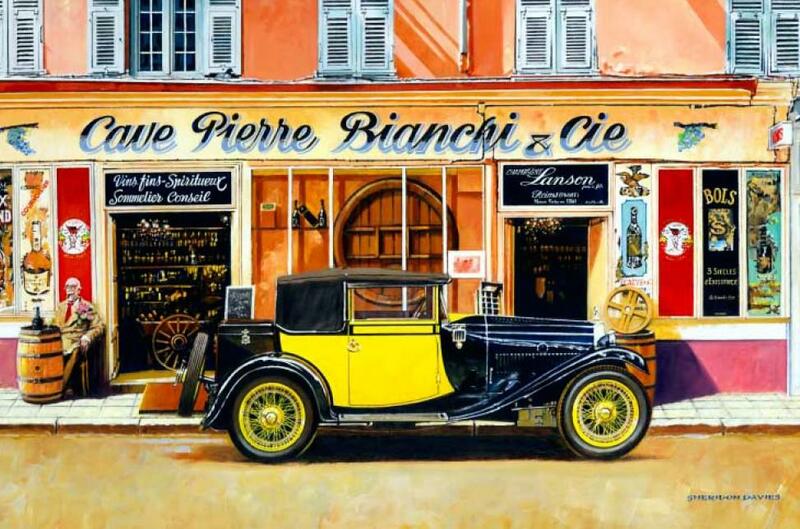 The tradition of the great automobile concours d'elegance of last century will be revived at the gates of Paris. Held on 28/29 June 2008 by Editions LVA, the first "Saint-Cloud Concours d'Elegance" will be one of the key events this summer. The prestigious and historic setting of Saint-Cloud Park will host exhibitions, condition competitions and special events. Expert collectors and well-informed motor and elegance enthusiasts will be more than satisfied. Auctions of automobilia and cars, masterfully orchestrated by Herve Poulain (Artcurial, Briest-Poulain- F.Tajan), will undoubtedly be among the highlights of this weekend. The Bugatti Royale is a "car designed for kings, but which kings would never buy". Masterminded by Ettore Bugatti, it was intended to be the car for the world's rich and famous, but it failed to enjoy the expected success. Only seven chassis were completed between 1926 and 1933 (fitted over time with 11 different bodies) and only three were sold new. The remaining four were used by Ettore Bugatti, whose personal car, the famous Coupe Napoleon, had its bodywork completed by his son Jean. A commercial failure, the Royale nonetheless marked an era and today remains one of the most beautiful and exclusive cars in the world. 3rd time for this nice event, I don't have any ideas about the number of Bugattis present, though I do know that the current Bugatti's president is in the jury for the concours d'Elegance. 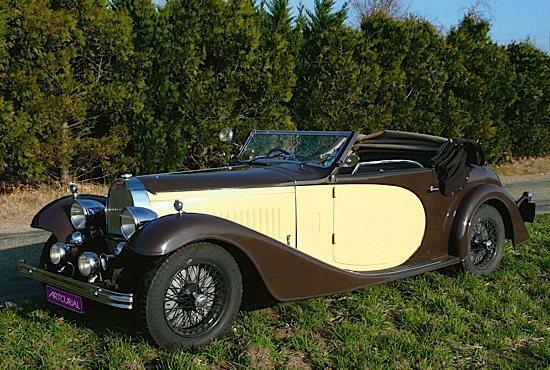 Gooding & Company will auction all of the Dr. Peter Williamson Bugatti Collection - except for the famous T57SC Atlantic, during the Pebble Beach event. Drawing by Dutch artist Piet Olyslager, made in the 1960's. It is clear that this scene could have been of only one race. Here we see Trintignant competing against a Ferrari (or being overtaken, possibly). 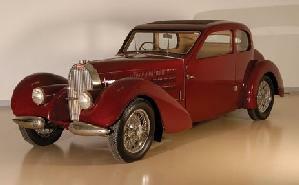 Part of the Bugatti Type 57 launch range the 慓alibier� was a four-door, four-seater touring saloon. Named after a peak in the French Alps and notable for its pillarless doors, the model was otherwise a somewhat conservative design with formal lines and an upright stance. However, customers wishing for a sportier variation on the Galibier theme could always have their Type 57 chassis clothed by an outside coachbuilder. Entrusted to Carrosserie Graber, chassis 57443 retained the comfortable four-seater accommodation and pillarless doors of the factory offering but added a number of decidedly rakish touches. 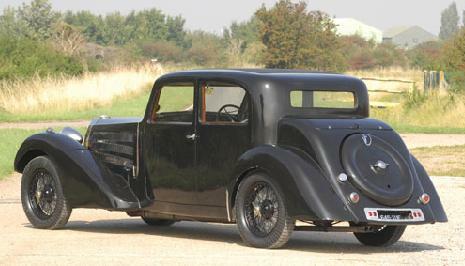 For instance, the absence of external rear door handles made the car look more like a coupe than a saloon. An impression reinforced by the sloping tail complete with 憇unken� spare wheel and pontoon wings. A particularly nice feature is the moulded swage line that begins at the radiator抯 shoulders, runs along the bonnet sides and then flows down towards the rear wings taking the window ledges with it. 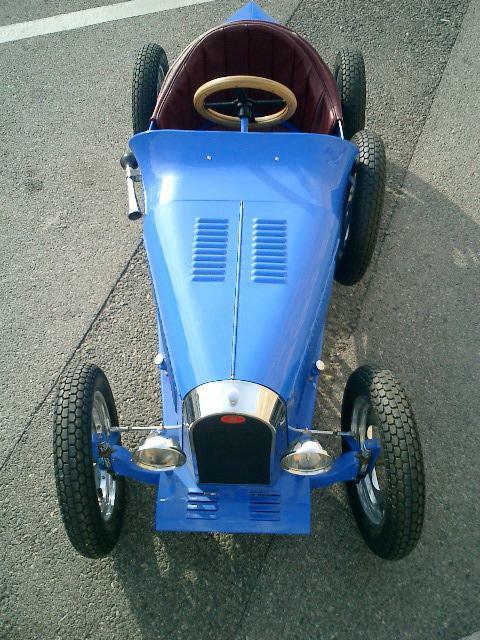 A much treasured possession, this Bugatti has been in the current family ownership since 1962. Pleasingly retaining its original tan leather upholstery, the Type 57 is running and driving but would benefit from recommissioning. 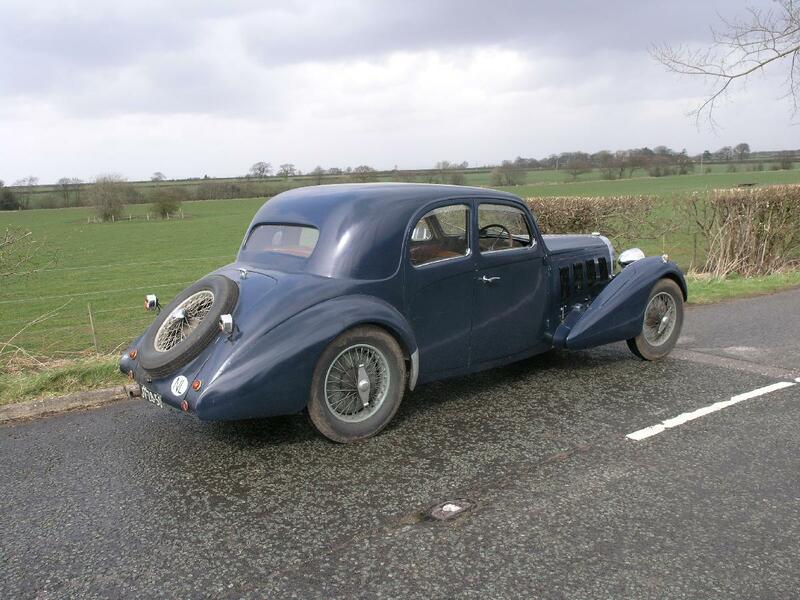 Known to the Dutch Bugatti Register and something of a timewarp, chassis 57443 will accompany us to the Vintage Sports Car Club抯 April 26th Silverstone meeting and the Bugatti Owners Club抯 May 24th � May 25th La Vie en Bleu weekend. Invoiced to Bugatti抯 Swiss agency, Bucar SA, on September 19th 1936, chassis 57443 was subsequently dispatched to Carrosserie Graber. Believed but not warranted to be a one-off commissioned by its architect first owner, the resultant Sports Saloon offered the same internal accommodation as a factory-bodied 慓alibier� but with far more flamboyant packaging. Although, a spacious four-seater, the Type 57抯 coupe-like lines are accentuated by the absence of exterior rear door handles or hinges. While, other notable styling features include the sloping tail (incorporating a partially 憇unken� spare wheel) and moulded swage line that begins at the radiator抯 shoulders, runs along the bonnet sides and then flows down towards the rear wings taking the window ledges with it. The last of a long line of Bugattis to have belonged to the vendor抯 family, chassis 57443 was purchased from A. van Ramshorst抯 renowned 慛V Albatros� dealership in November 1962. Resident in Sweden before then, the past forty-six years have seen it used for a variety of touring duties including attending a wedding at Molsheim. Pleasingly retaining its original leather upholstery, the Type 57 is in unrestored but running order (though, the engine was treated to an extensive overhaul by Jan Keizer of Doetinchem in 1991). 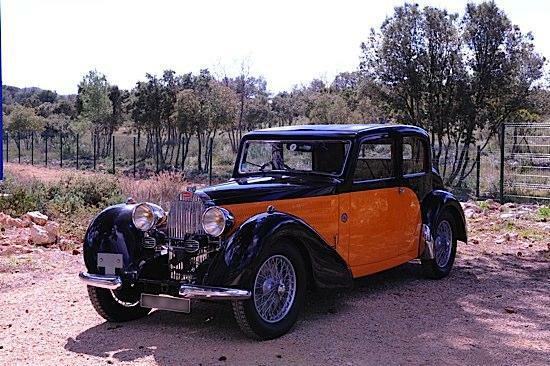 A familiar sight in Dutch Bugatti circles and well known to the late Hugh Conway with whom the vendor抯 family were good friends, this 憈imewarp� Graber Sports Saloon will be taking pride of place on our stand at the Bugatti Owners Club抯 forthcoming May 24th-25th La Vie en Bleu weekend. Bugatti will be the featured marque this year. 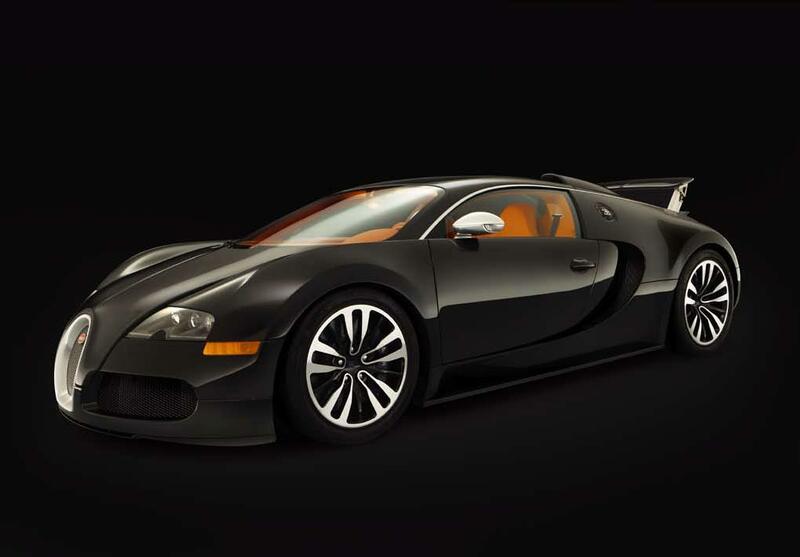 With participation from all our past and future exhibitors in conjunction with support from Bugatti USA we anticipate showcasing a gathering of cars second to none, including the Veyron exhibited by Bugatti USA. The last installment of the Aerolithe Project ran some time ago, but, as in any restoration, there are periods of little visible progress or repetitive tasks that, while crucial, don't make for a particularly sizzling progress report. However, things are now starting to gallop. 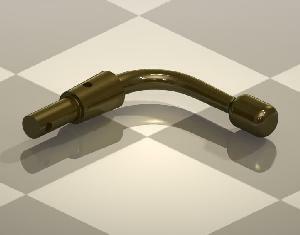 As we have been progressing on the car's recreation, we have been making engineering discoveries that are not only unexpected but downright unpopular with some of the Bugatti world's old guard. These are basically the same people who would in an earlier time have you burned at the stake for thinking the Earth may not be flat. First, let me bring you up to speed on the car's progress. The beautiful aerodynamic coupe body that identifies the Aerolithe as one of the world's most significant automotive designs was composed of metal sheeting attached to a complex under-skeleton of carved and formed white ash. 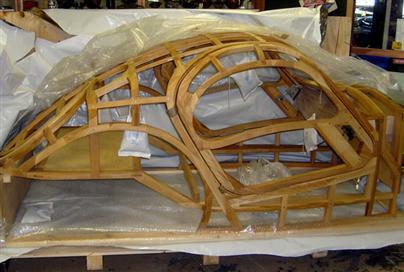 I debated at some length as to whether or not my own craftspeople -- or even local cabinet makers -- would have the ability to reproduce this framing based on one grainy photo we had of an original skeleton for the Bugatti Atlantique -- the car for which the Aerolithe was the progenitor -- plus the measurements we had deduced from original photographs of the complete car at the 1936 Paris Auto Show. To tell the truth, while I am a great supporter of Canadian craftspeople, I thought this task might be too expensive for the client as workers unfamiliar with this discipline tried to recreate the wood in the same fashion as Bugatti had in 1935. Instead, I chose to go with a German woodworking company with a 300-year history of manufacturing coffins -- a task that is still its bread and butter. Its incredible skills have been put to the test on other major car framing jobs over the years for which it has established a dedicated studio. 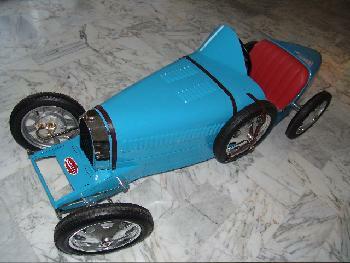 After seeing the framing it built for an almost identical Bugatti coupe design, I decided to use its services. The result was spectacular. The quality of this wooden skeleton is so fine it is almost a shame to swathe it in metal and paint. I had expected fairly rough-hewn wood that exactly followed the contours of the car. What I got instead was a perfectly finished and smoothed masterpiece that had been lovingly rubbed with linseed oil, which imparts a lustre and a warm, rich smell reminiscent of an era long gone. The car's frame, engine and driveline are all reaching completion. After a false start in which we bought a misrepresented and entirely inappropriate front axle from a restoration shop in England, we settled on another English company to remanufacture a perfect replica. When I opened the shipping crate, I was confronted by a masterpiece indistinguishable from an original front axle in everything but the Bugatti factory stamps. It was even fully polished to a correct chrome-like finish, no small feat with the rough steel casting with which it would have started. We are in the process of assembling the chassis into a running and driving entity that will be tested bereft of bodywork. 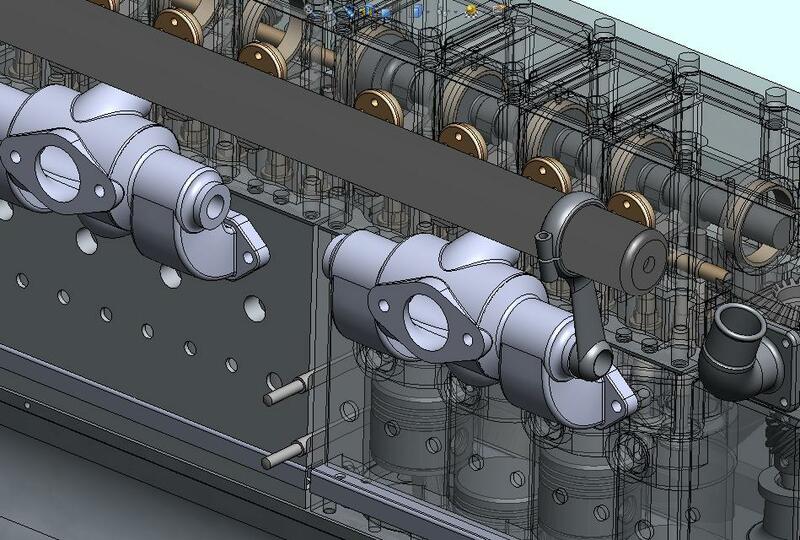 The position for the engine, radiator and body itself has been ascertained to fractions of a millimetre and we are just machining several mounts and attaching hardware from billet aluminum and steel. During the process of recreating the car, we have examined every tiny detail millimetre by millimetre and as a result we have made some discoveries that have put into dispute some of the long-standing theories about the original car. It was not even like we were looking for these discoveries or even really cared when they were made, but, stupidly, we said in the Bugatti club newsletter, "Hey, guys, look what we've found. It's really cool." Oops. In a future column, I will outline how we are not only fighting the good fight but are in the process of cutting the legs and perhaps other dangly bits off our most vehement critics by publishing indisputable engineering evidence. What fun. A $1 MILLION car formerly owned by actor Nicolas Cage will leave Geelong this week after being lovingly restored by a local company for six years. Bellbrae Panels and Paint has been doing up the 1937 Series 57 Bugatti after it was bought from the Hollywood star by a Queensland car fanatic. The car has a straight-eight super-charged motor and is now believed to be worth more than $1 million. Restorer Graham Smith said he wanted to thank the tradesmen who had been involved in the long restoration process. "We actually hand-made all of the panels on the car because they were all corroded; it has been so much work," he said. Mr Smith said it would be hard to say goodbye to the car. "You do have that gutted feeling because you've spent so much time on it and you are left with nothing," he said. "But you know that these cars are like works of art. It's not like doing up a Holden, they are going to be around a thousand years from now." He said the car was rare and was only sold to the wealthy. 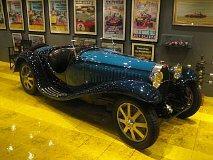 "Bugatti was very eccentric, but his cars were light years ahead of their time," Mr Smith said. The car will be displayed at the Winton Historic races before being delivered to its owner in Queensland. It was hoping for one. 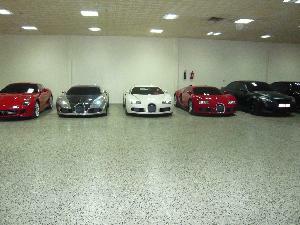 Instead, it was offered three of the vehicles, which cost more than Dhs 4.4 million (USD $1.2m) each. 揘o other place in the world could we have found three Bugattis in a span of 48 hours,� said a relieved Charlie Turner, the creative director for the magazine. 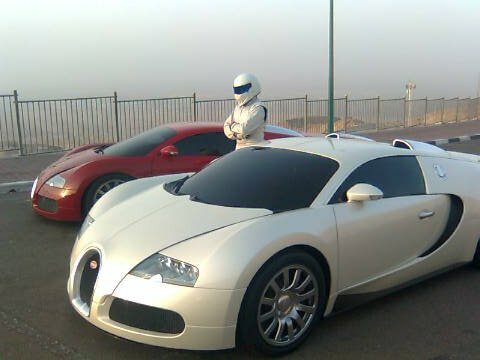 The Corniche area and Jabel Hafeet were briefly closed off for the shoot, which featured the Stig, Top Gear抯 mysterious, overall-clad driver. Top Gear, paired with a BBC television show of the same name, sells more than a million copies a month. Well here we are folks in Abu Dhabi, United Arab Emirates. Top Gear UK抯 favorite and definitely my favorite TV show and magazine is filming with THREE Bugatti Veyrons. The BBC show抯 crew was jaw droppingly surprised to find all 3 loaner Bugatti Veyrons. The team racecar driver THE STIG was also there. All the Veyrons were heading to the Marina Mall in downtown Abu Dhabi. Transport Officers had to close several roads for the photoshoot. 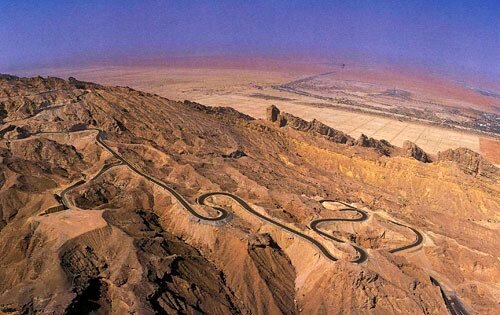 Oh almost forgot, part of the shoot was on top of the Jabel Hafeet mountains, and the amazing roads leading upto and through it. Boy, would this be a helluva fun joyride! 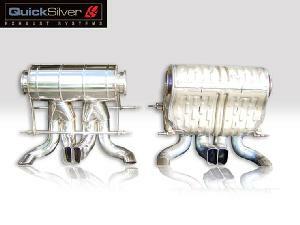 QuickSilver Exhaust Systems are fitted to many of the World抯 finest cars. The new Bugatti Veyron 16.4 is no exception. QuickSilver抯 newly developed 慡uperSports� exhaust for the Veyron is designed to give the driver that ultimate roaring sound, as the original factory silencer is too muted for many drivers� tastes. Sound is such an important part of driving a wonderful sports car. The QuickSilver production team has engineered the system抯 internal design to allow the volume and flow to increase in proportion with rpm. This provides the engine with a deeper tone at low engine speeds rising to a unique, growl and crisper exhaust note at higher rpm - without ever spoiling the luxury of this exotic sports car. This QuickSilver system also only weighs 11.6kgs (approx. 25.5lbs) a saving of 7.4kgs (approx. 16.3lbs) and is constructed from mirror polished stainless steel as it will be visible when the spoiler is raised on the car. The attached picture shows the QuickSilver system (left) placed next to the factory OE system (right). Attention to detail has always been a hallmark of QuickSilver products and this is no exception. Using Type 304 austenitic stainless steel, the pipes are mandrel bent to keep a constant internal diameter throughout the length ensuring an even flow of exit gases. All systems carry the QuickSilver 25-year guarantee. 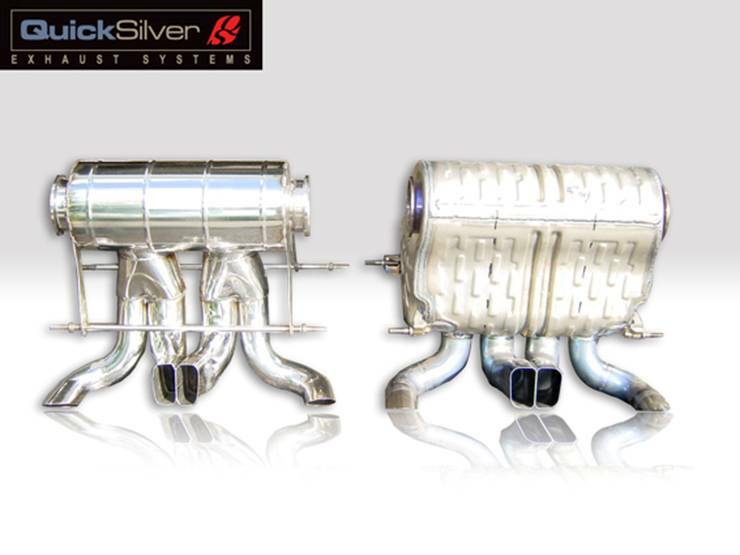 QuickSilver is a recognised maker of original and 慡ports� performance stainless steel exhaust systems for the World抯 finest classic, prestige, luxury and exotic sports cars since 1973. So, if you want to upgrade your second hand Veyron a little bit, go for a new exhaust! Bugatti, awaiting the launch of a truely new model, like the Veyron Targa or the Saloon, presents the 3rd variation of the Veyron. After the Veyron PurSang, and the Herm鑣 Fbg, they now present the SANG NOIR, presumably as a homage to the Bugatti T57SC Atlantic. It seems that the Veyron clients appreciate an even more individualised (though a series of 15 Pur Sang's is claimed) car than what the Veyron already is. See for yourself, the carbon bonnet and top, black sides, black air scoops and new wheels do give the car a different appearance, though nowhere close to the Atlantic, which Bugatti in it's brochure calls a T57 Atlantique! What about the attention to heritage that Bugatti says to have!? Though the Veyron's all look differently from the outside, they all have the same mechanics, with 1001 HP 16 cylinder engine and 4-wheel drive. There are some price differences, with the "Basic" Veyron being 1.1 million, the Herm鑣 Fbg 1.55, and this Sang Noir in between with 1.4 million. 2010 will see the launch of the Bugatti-Schumacher F1 team. VW will bankroll the team to the tune of �0million over the next 5 years. The drivers are unknown but could include Nick Heidfeld and Lewis Hamilton as his contract with McLaren will be over by then. Micheal Schumacher will be the team CEO and test driver. Ferrari are understood to be disappointed to be losing such a great asset to the team but understand his desire to run a team of his own name. Micheal will step away from the team at the end of 2008 to concentrate on setting up Bugatti-Schumacher and so as not to have a conflict of interests. 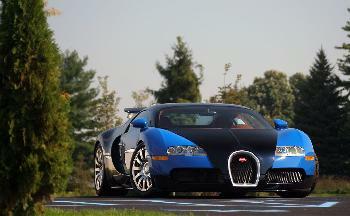 There have been rumours of Bugatti entering Formula 1 already more than 5 years ago, this time, it may be true. However going by what Micheal is doing nowadays, there sure is determination in him in the technical side of Formula 1. 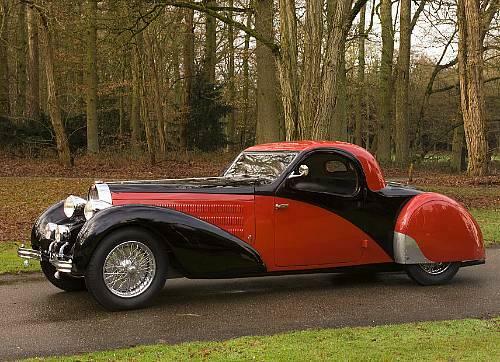 At the recent (May 6) IMPRESSIONIST AND MODERN ART Auction (Christie's) in the Rockefeller Plza, New York, a Rembrandt Bugatti sculpture, "Grand tigre royal" fetched a stunning $2,617,000. Maison Jansen (acquired from the above). 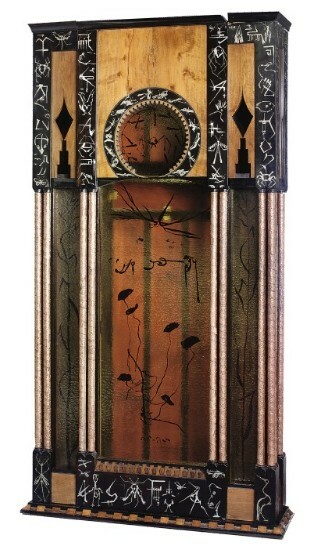 This work will be included in the new edition of the Rembrandt Bugatti Catalogue raisonn� currently being prepared by V閞onique Fromanger. This magnificent sculpture represents the last stage in Bugatti's stylistic development and in many respects the height of his achievement as an artist. 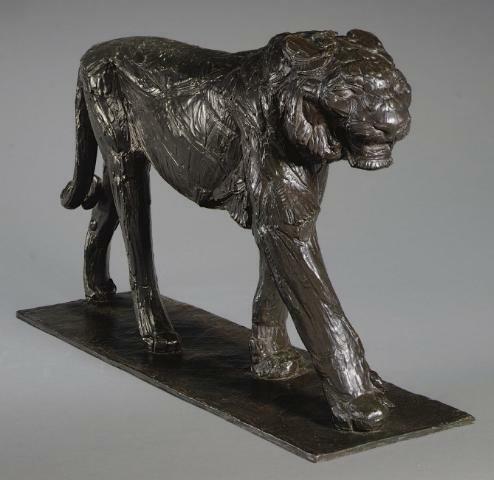 While having created some three hundred sculptures during his tragically short life, it is his depictions of big cats that are, for many, his greatest and most charismatic works. Having spent a period of ten years sculpting and studying the animals at close hand, Bugatti acquired considerable knowledge of their attitudes and behavior, and would apply this to greatest effect in his final works. Created in 1913, less than three years before his untimely death at the age of 31, the Grand tigre royal is one of his last and most compelling sculptures, embodying as it does his late and most expressionistic technique. The piece is imbued with a powerful sense of movement and dynamism; the considered and often impressionistic surfaces of many of his earlier works here giving way to rich striations and lines that crisscross irregularly, rendering simultaneously the stripes of the coat and the musculature beneath. An essay in anatomical accuracy and awareness of form, Bugatti here skillfully captures the essence and vitality of his subject, to create a sculpture that gives lasting testament to his mastery. May 5, 2008 BugattiRevue: all issues back on line. For the the Bugatti revue the earliest issues have been available in CD Rom format only, due to a lack of space on my server. I now relocated all my sites BugattiPage.com, BugattiRevue.com, BugattiAircraft.com and Special-Classics.com to new servers. This gave me 4 time the original space (4GB now), that I could put all the old issues back on. So, enjoy your reading! 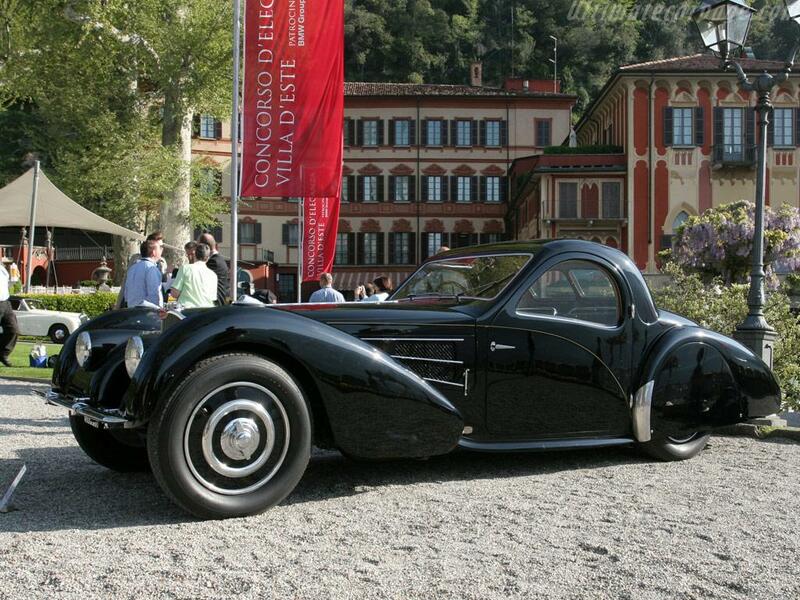 May 2, 2008 Bugattis win at the Concours d'Elegance Villa d'Este. The estimated value was set at $175,000 - $225,000 which was not obtained. Bidding reached $160,000 which was not enough to satisfy the reserve and the car was left unsold. 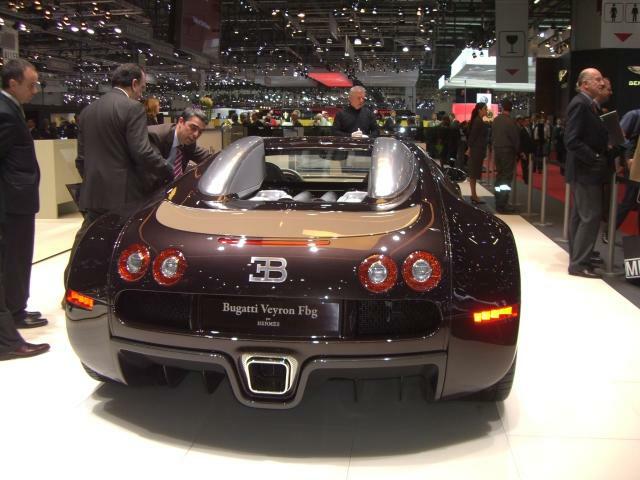 April 24, 2008 Veyron Targa officially confirmed. Bugatti抯 widely renowned Veyron will be getting a Targa variant next year, according to a source at parent company Volkswagen. The news confirms what we had speculated almost a year ago, and the fact that a former Bugatti executive has spoken out lends a good deal of credibility to the claim - not to mention that Bugatti抯 communication chief, Georges Keller, has also confirmed the convertible Veyron is in the works. According to the exec, the targa option was the only one available to Bugatti 揵ecause there was no other solution which could fit with the car抯 safety cage�. While the hard-top will be removable, there will be no storage space for the roof within the car, meaning the cover will have to be taken off at home. If the weather turns nasty a concealed fabric cover can be extended to protect the cabin, reports Automotive News. Without the roof, the car will require added reinforcements and underbody changes to maintain torsional rigidity. These changes are expected to come at a cost to performance, and top speed is rumored to be limited to 217mph (350kmh). 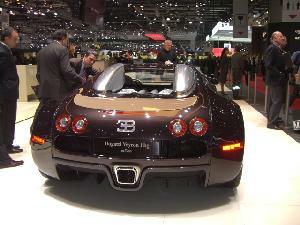 Bugatti is yet to reveal how many convertibles Veyrons will be produced and when the first cars will be available. Previous reports claim production numbers will be somewhat lower than the 300 coupe models, with many suggesting there will be just 80 Targa models. April 23, 2008 ALL BUGATTI PUBLICATIONS ON LINE. It is published in 5 separate PDF files, of which over 600 items on books alone, and about 500 items on all other publications! 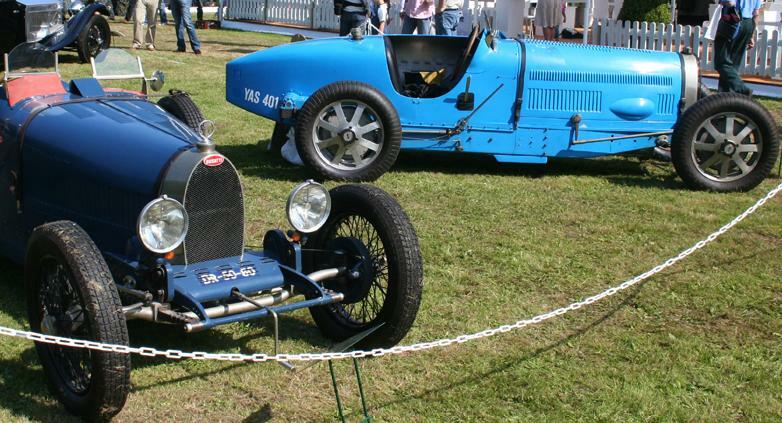 For this 6th edition already several Bugatti are planned for this event, Type 35, Type 37, Type 51. Star of the sale will be a stunning 1932 Bugatti Type 55 Super Sport that raced at Le Mans in 1934, which is expected to sell for �2,000,000 � 2,600,000. The Type 55 Bugatti was built as a road-going version of the Type 54 Grand Prix car and became the ultimate supercar of the early 1930s. Only 38 examples were built and chassis no.55208 is one of less than 20 to be fitted with flamboyant Jean Bugatti-designed roadster coachwork. The Bugatti抯 original owner was French amateur racing driver Charles Brunet who entered the car into the 1934 Le Mans 24-Hour race, sharing the drive with Freddie Zehender. The car was running 5th in the 75th lap, but in avoiding a collision with a car that had crashed, it spun and subsequently retired from the race. 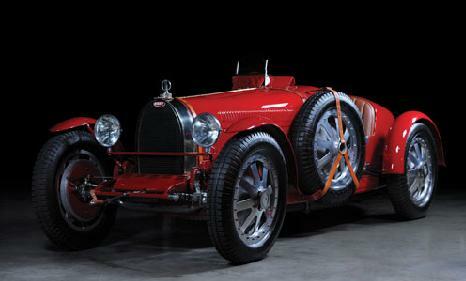 In more recent times, this important Bugatti has been part of two prestigious collections � the Bill Serri Collection and since 2003, the 慚as du Clos� Collection, during which time it has been fully mechanically restored by the French specialist Etablissements NOVO. The car, presented in two tone blue with black leather interior, is 憃n the button�, eligible for this year抯 Le Mans Classic and ready to grace the lawns of the world抯 most prestigious Concours events. Win a ticket to go up the hill in the Bugatti Veyron! April 18, 2008 Unknown Figoni & Falaschi coupe not real. Many of you did correctly identify the mistery Figoni below as a modern design, even coming up with the original photograph from which the background was taken. It was of course all too obvious, especially the sloping bonnet and the too modern front wheel. I put it on my page just for fun, to see what reactions I would get. 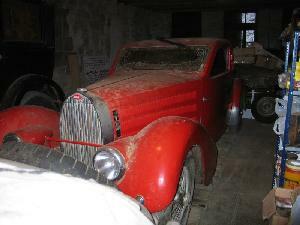 However, I was still surprised to see that it was copied as a true mistery car, on BugattiBuilder.com. No Jeroen, I won't be giving any names here! 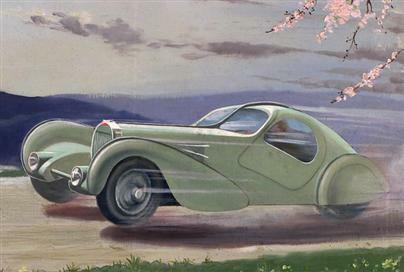 Terry Cook's Decoride Bugatti / Delahaye Figoni & Falaschi / Van Vooren inspired "Hot Rods" were presented before on this page. The car above is just a coupe version of an existing open car design. 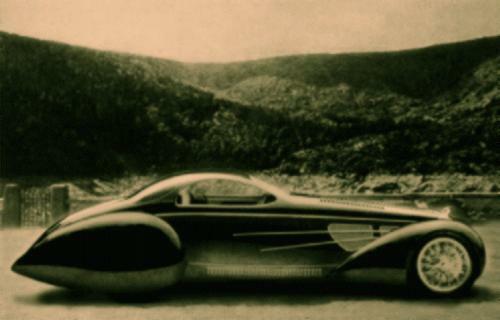 April 14, 2008 Unknown Figoni & Falaschi coupe discovered. I received this, relatively unsharp picture of a Bugatti, at first I wouldn't believe it, but according to the person who sent it to me, it reads "Figoni & Falachi - Bugati - 1939" on the rear. This should be a T57 or T57 C then. I tried searching my archives, but couldn't find it. Does anybody have more information on this car, or any additional information, chassis number etc.? If you have information, please mail directly to me. April 3, 2008 Bugatti Dispute finally settled! ANGERS, FRANCE - April 2, 2008. The much anticipated decision from the High Court of Appeal in Angers, France was handed down on the biggest Bugatti legal battle in years. On March 18, 2008 The High Court of Appeal found that American businessman and car connoisseur Mr. Christopher Gardner and French engineer Mr. Thierry Bizon were completely innocent of all charges. The High Court also found that Mr. Francois Cointreau had lied regarding statements and documents he filed with the French court. If the Cointreau name sounds familiar, it should. Cointreau is a household name in France, and is renown for the liquor that bears its name. Francois is the son of the patriarch of the Cointreau family. The case began years ago with a dispute between Mr. Gardner and Mr. Francois Cointreau. Mr. Gardner had brought his 1935 Mercedes 500K to the Cointreau抯 shop 揝arl Restaur扐uto� for restoration. 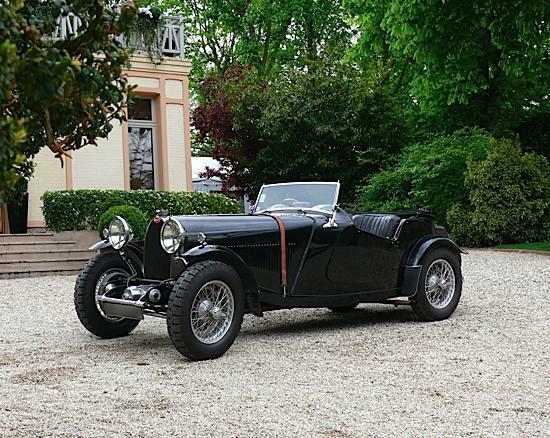 In the course of that restoration Mr. Cointreau expressed his interest in purchasing one of Mr. Gardner's prized possessions, a rare and important Type 57 Bugatti Cabriolet with one-off coachwork by Albert D'Ieteren (57589). 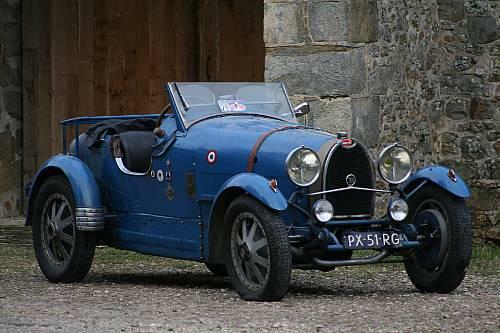 Mr. Gardner agreed to sell his Type 57 Bugatti to Mr. Cointreau on an installment basis for FRF1,800,000 (280,000 Euro), with payments due over time. 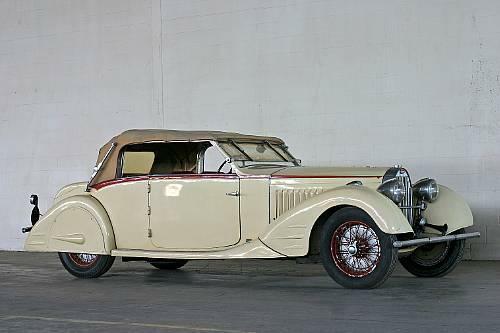 Subsequently, Mr. Cointreau abandoned the restoration of Mr. Gardner抯 1935 Mercedes Benz 500K pushing the unfinished car into a vacant garage. 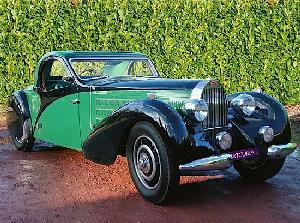 Mr. Cointreau also failed to make the final installment payment for the Type 57 Bugatti. After much correspondence, Mr. Cointreau and Mr. Gardner settled their dispute in October 2001. 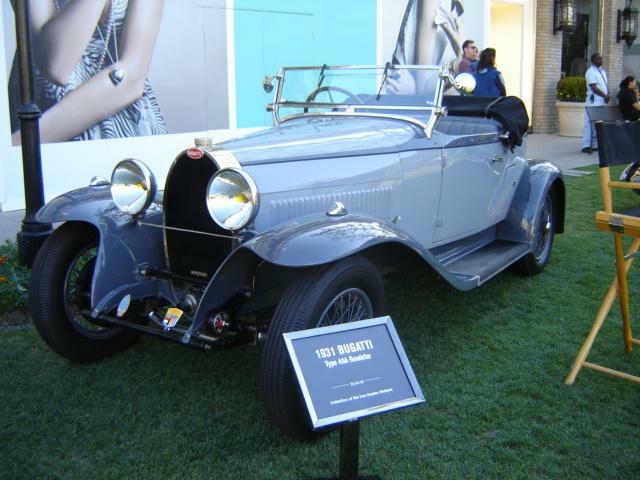 That settlement was that Mr.Gardner would take back his T57 Bugatti , for which Gardner had only been partially paid, and accept the unfinished restoration on the Mercedes 500K after having already paid for that restoration in full. However, to Mr. Gardner's surprise, that was not the end of it. According to court documents, Mr. Pierre Cointreau, father of Francois and part owner of the Cointreau car restoration company, was unhappy about how his son Francois had settled the dispute with Mr. Gardner. The elder Cointreau sought to revise the settlement, despite the fact that the settlement was signed by Francois Cointreau and witnessed by Mr. Thierry Bizon who was at Mr. Cointreau's shop at the time of the settlement. Mr. Gardner said he was not interested in revising the settlement. Then inexplicable things began to happen. 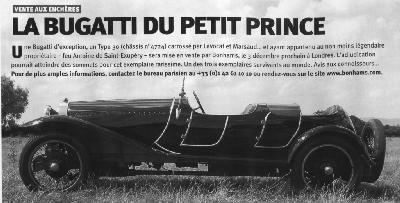 Mr. Cointreau generated a suspicious invoice for over 150,000 Euro for work on the Bugatti T57. Mr. Cointreau also furnished a suspect affidavit by Dutch Bugatti dealer Braam Ruben to inflate the value of Mr. Gardner抯 Type 57 Bugatti and thus undermine the true settlement. When the influential Cointreau's presented these documents to the lower French courts, the case escalated into a criminal complaint, naming Mr. Gardner and Mr. Bizon as conspirators. 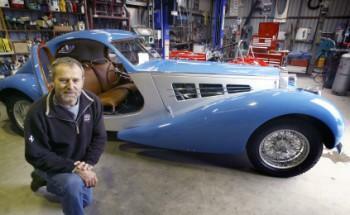 In November 2001, French authorities seized Mr. Gardner's Bugatti Type 35C (4882) and Mercedes GULLWING while stored at Mr. Thierry Bizon抯 shop. That Court ordered seizure was made on the basis of another falsified document rendered to the Court by Mr. Cointreau in order to trumped- up his revised settlement claim. The Cointreau抯 even managed to have Mr. Gardner arrested based on these and false documents. Gardner was immediately declared innocent before the Angers Court in 2002 days after being retained on those bogus charges. Despite that clearance the investigation continued deadlocking Gardner's assets with the use of a criminal overtone. The case dragged on for over six years through the complex French Court system. Mr. Gardner and Mr. Bizon consistently proclaimed their complete innocence during those years. In 2005 it was thought that the case had seen the light at the end of the tunnel when the Judge ordered a hand writing analyzes of Mr. Cointreau. The Carte Gris (title) of the T57 Bugatti appeared to have been signed by Mr. Gardner. This Court investigation found that likely Mr. Cointreau had forged Mr. Gardner's signature. 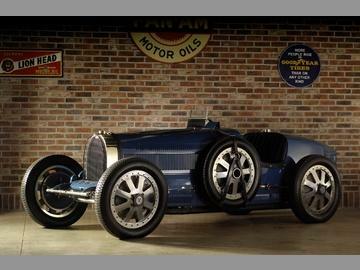 This forgery put the Bugatti into the Cointreau's companies name, despite not having paid for it in full. Mr. Gardner and Mr. Bizon persisted, but their claims of innocence fell on deaf ears. The lower Angers court found them both guilty despite all the material evidences in their favor. Undeterred, Mr. Gardner retained new counsel and appealed the low court decision. Mr. Gardner retained Maitre Antoine Barret of Angers, France, a close relative of Mr. Cointreau's own attorney Patrick Barret , the former President of the Angers Bar Society. The appellate case was set for a January 2008 argument. At the January 2008 appeal hearing, the powerful influence of the Cointreau family in Angers was brought to bear. 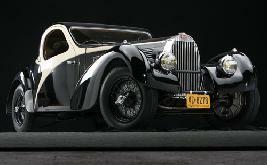 The Cointreau抯 provided another affidavit to further inflate the value of the Type 57 Bugatti. This affidavit was by Cointreau抯 new witness, Bugatti middleman Mr. Patrick Faucompre. Faucompre issued the new affidavit after implicating a unsuspecting American Bugatti Club member under questionable circumstances in a phone conversation. The Faucompre document was deemed fictitious with the outraged Club member emerging immediately to issue a statement to the High Court of Angers that Faucompre had lied. In a bold move, Mr. Gardner抯 attorney let Mr. Gardner testify as part of his closing appellate argument. Mr. Gardner methodically and passionately explained what the true value of his Type 57 Bugatti was, and why the Faucompre affidavit, as well as the earlier affidavits, were each inaccurate, unreliable and falsified to trick and deceive the Courts. The High Court of Angers found Mr. Gardner's testimony compelling and ruled his explanation of transaction well documented , reasonable , logical , and fair. The High Court of Appeal reversed all prior rulings and cleared Mr. Gardner and Mr. Bizon. The High Court of appeal also found that Mr. Cointreau had lied outright in his statements to the Criminal Court and had contradictory statements throughout the proceedings. The Civil case was dismissed and Mr. Gardner抯 other cars were released immediately. Mr. Gardner's attorney, Maitre Antoine Barret, summarized the years of litigation: "It has been a long road for Mr. Gardner and Mr. Bizon. They consistently proclaimed their innocence. It was a long awaited and well deserved victory." Mr. Gardner and Mr. Bizon have made no comment to date, other than to express their satisfaction that the High Court of Appeal handed them a resounding reversal, ending the years of rumor and innuendo directed at them by many of the Bugatti Clubs and members. Bugatti and classic car enthusiasts alike should take note: In the world of Bugatti, as well as all other car circles involving rare cars, one should be very careful in assessing the honesty and integrity of shops and restorers, even when those persons are assumed to be of high regard. Stay tuned for the rest of the story in an upcoming three part expose of interest to all Bugattists and connoisseurs of rare and classic cars. April 1, 2008 Timewarp Bugatti Sold? Since the death of Yorkshire Bugatti enthusiast Dr H. Carr, specialists have been trying to secure his ex-earl Howe Bugatti Type 57S Atalante. Not seen since the early '60's, the car is now rumourd to have sold privately for 3.5 million GBP. a similar price to that achieved last year for another Atalante. The New Hermes designed Veyron Bugatti will revive a relationship initiated in the 1920's between Emile Herm鑣 and Ettore Bugatti. Hermes needed a zipper designed, and called on Ettore to design it for him. Thus this new designer issue Veyron has a zipper designed radiator to hint that special zipper connection. 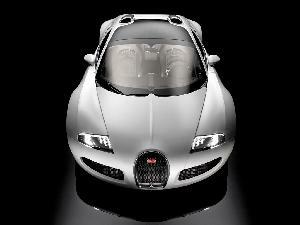 The new Hermes-designed Bugatti Veyron - was unveiled at the Geneva Motor Show today. It features a maroon colored exterior with beige bonnet. The interior looked like my wallet, but not so empty. It comes with 22-inch special edition wheels and Hermes fuel-filler cap. In fact there is the H logo all over the car. The inner surfaces of the Bugatti Veyron Fbg par Herm鑣 have been designed in bull calfskin (Young Bull ?) by the Herm鑣 workshops in Paris. The door handles follow the forms of handles on Herm鑣 bags and luggage. 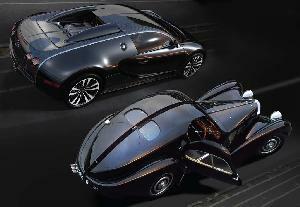 Herm鑣, originally a Parisian-based saddle maker is the only special designer edition Bugatti plans to do. I asked about a Prada edition and that and the Von Dutch special issue was not possible. Rumor at the Geneva Show stand on Press day ( March 5 ) was that this car was going to RUSSIA where it would be able to accelerate from 0 to 100 km/h in a mere 2.5 seconds. It is priced at 1.55 million Euros (not including tax), and available at the end of 2008 if you want to order one. It comes with a special wallet in the glove box that matches the interior. Press Release On the occasion of the 78th Geneva Motor Show (from 6 to 16 March 2008), Bugatti and Herm鑣 co-present the fruit of their partnership: the 揃ugatti Veyron Fbg par Herm鑣�, associating Bugatti抯 technical performance with the expertise of Herm鑣 and its craftsmen. In partner-ship with Herm鑣, designer Gabriele Pezzini has married the distinctive Herm鑣 style to the legendary Bugatti Veyron 16.4, magnifying the car抯 personality. This remarkable car features an array of excep瑃ional characteristics: the innovative alliance of a technologically advanced engine, deliver琲ng 1001 horsepower, with an understated yet uncompromising silhouette reflecting the high performance capacities of state-of-the-art engineering and design, and above all, the pleasure these inspire in every Bugatti owner. The fascination exerted by this sports coup�, capable of reaching 407 km/h, is due in large part to its unique alliance of the very finest motor-racing technology with comfortable handling for everyday driving. The 16-cylinder 揥� configuration engine is fed by four turbochargers and features 64 valves, generating 1001 horse琾ower at 6000 rpm. The engine draws on its 8-litre displacement to deliver a maximum torque of 1250 Newton-metres between 2200 and 5500 rpm. With full-time all-wheel drive, the car抯 phenomenal power produces breath-takingly dynamic handling, with acceleration from 0 to 100 km/h in a mere 2.5 seconds. The Bugatti Veyron 16.4 benefits from aero-nautical and aerospace technologies, making it the fastest production car ever made. The car also features a braking system designed to deliver unprecedented powers of deceleration, establish琲ng a new industry benchmark. The carbon-fibre discs provide brake pressure of up to 180 bars, combined with eight-piston monobloc callipers and titanium pistons fitted with fine steel heads and ceramic heat protectors. Apply the brakes at speeds above 200 km/h, and the rear wing acts as an airbrake, positioning itself at an angle of 113 degrees in less than 0.4 seconds, augmenting the Bugatti Veyron抯 already impressive stopping power. The airbrake increases negative lift at the rear of the car to 300 kg, enhancing the braking torque on the rear axle. At 400 km/h, emergency braking will bring the sports car to a complete halt in less than 10 seconds. This, the world抯 most fascinating car, has pushed back the limits of physical engineering to offer a completely new sensation for driver and passenger alike. But it has also adopted a radically different stance to that of other sports cars: its features and finish are sure to impress the most demanding clientele. Herm鑣 and designer Gabriele Pezzini have lavished attention on the interior and exterior of this exceptional car, to create the new Bugatti Veyron 16.4: the 揃ugatti Veyron Fbg par Herm鑣�P> The official name of the highly exclusive Bugatti Veyron 揊bg par Herm鑣� refers to the historic Herm鑣 headquarters on the Rue du Faubourg Saint-Honor�, in the heart of Paris抯 eighth arrondissement: the 揊bg� appellation evokes the house抯 揻aubourg� address. With the Bugatti Veyron Fbg par Herm鑣, the exacting standards of 蒻ile Herm鑣 and Ettore Bugatti come together for the first time, in a exceptional collaboration: the culmination of their extreme attention to aesthetic and techno琹ogical quality and performance. Gabriele Pezzini has reinterpreted Bugatti抯 tradi瑃ional two-tone carriage work, fostering a fluid, harmonious transition between the car抯 exterior and interior design. The colour of the hood extends to the interior of the cockpit, and re-emerges behind, at the level of the rear wing. As a tribute to the celebrated 1924 Bugatti Type 35, undoubtedly the most famous of all time, thanks to its many successes on the racetrack, the new Bugatti Veyron Fbg par Herm鑣 features eight-spoked wheels in polished aluminium, central butterfly wheel locks branded with the letter H, and air vents around the rims repro琩ucing the characteristic appearance of Herm鑣 saddle-stitching. The horseshoe radiator grille, and the lateral ventilation grilles flanking it, are made from lightweight alloys with a design of interlocking H抯 evoking the Herm鑣 搒ignature�. The inner surfaces of the Bugatti Veyron Fbg par Herm鑣 have been designed and sheathed in bull calfskin by the Herm鑣 workshops in Paris. The care and attention to detail observe an extremely refined, minimalist formal vocabulary, reflecting the tradition of the very first Bugattis and the fundamental design principles of the house of Herm鑣. The door handles echo the fluid forms of handles on Herm鑣 travel bags and luggage. And the dashboard, traditionally finished in brushed aluminium, is here clad entirely in bull calfskin. Passengers aboard the Bugatti Veyron Fbg par Herm鑣 will find a dashboard glove compartment designed to hold a selection of small travel accessories and a zipped Herm鑣 wallet. Both seats are covered in two-toned bull calfskin, and the panel separating the cockpit from the central rear engine � traditionally made of carbon fibre � is covered in the same fine leather. The leather-lined trunk holds a specially-fitted 揟oile H� and leather case, hand-made by craftsmen from the Herm鑣 workshops. This exceptional model � in toning colours of ebony and 閠oupe, or ebony and brick � is priced at 1.55 million euros (not including tax), available at the end of 2008. Having spent a frustrating couple of years looking at your website but being unable to let on as to what I was doing, I can confirm that the Bugatti Trust and myself (Stuart Brown) have created a Bugatti Type 35 down to its' last nut and bolt in a 3D design package. The ultimate goal is to get the car working as a virtual system. 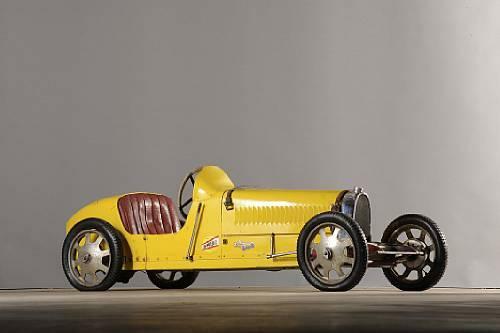 As far as we are aware, this is a world first in that no out-of-production car, let alone a pre-war Grand Prix car has been recreated out of the original plans, in its entirety, in 3D. So why is this so ground-breaking and important? 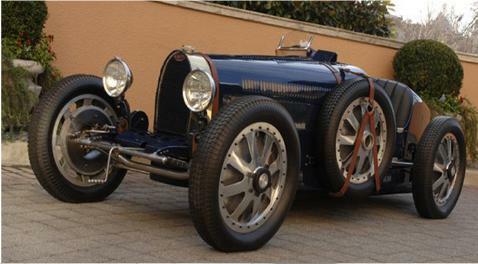 1) The project has from the outset been to do with preserving all the known information on the Bugatti Type 35. To that end, we have worked from the original plans: the car's DNA. 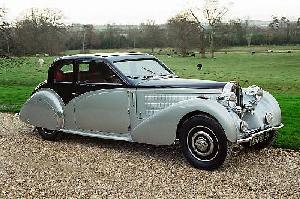 We have also involved the UK's foremost experts on the Bugatti marque. Working from the original plans has meant that by deduction, plans for those parts which did not previously exist have now been created. 2) Both myself and The Bugatti Trust are keen to involve "new blood" in the classic car scene and the fact is that the younger generation are at their most comfortable when dealing with computers. To this end, what we have achieved is akin to the human genome project (but obviously massively less important to humanity). Now that the parts have all been recreated in 3D the way the information can be used is limited only by your imagination,for example the aerodynamics, cooling system, chassis rigidity and strength of individual parts can all be analyzed to see just how good Ettore Bugatti's designs are. 3) Bugatti owners should benefit from more accurate and better value parts (obviously supplied via the Bugatti Trust/Owners Club). I personally feel that this is a very important issue as the balance of power with parts should be with the owners and not engineering firms and motor traders. 4) If any potential replica car owner cares to look, they should see that replicas cannot possibly be as accurate as the original car because without the plans they are at best guestimates as to what the car design originally was. 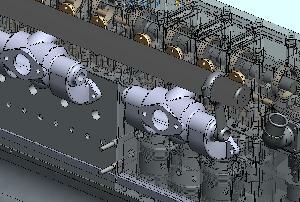 There are over 2,500 total parts in a Type 35. This means there are at least 25,000 individual dimensions within the car and probably more. 5) The project has been donated to the Trust and shortly will be placed on their secure computer system, for the benefit of owners and further study of the design. The project is being launched to the press shortly probably at the Bugatti Trust headquarters. Comment: An immense amount of work, and a perfect way to make available the info from the drawings in a modern format. The T43, which belonged to the great Guillaume Prick and lately to Pim Hasscher, is reported to be sold to the Netherlands, where most of it's history lies. Therefore, I expect that the car will not receive an "American" restauration, and will be brought back to a good mechanical condition, without changing the character of the car. 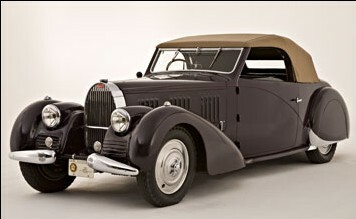 About 40 magnificent, mainly hystoric, automobiles will be on exhibition in the tecnical Museum in Vienna. Automobiles that wrote history and made legends. Only milestones of automobile history will be shown. Amongst them 3 Bugattis: The Type 41 Royale Binder 1932 and the Bugatti Type 57SC Atlantic 1937, and, the only contemporary car in the show, the Bugatti Veyron. RM Auctions returns to the beautiful grounds of the Amelia Island Ritz Carlton Hotel to host the annual auction of Vintage Motor Cars in conjunction with the Amelia Island Concours d'Elegance. NOTE: This Pur Sang T35B, chassis no. 4938, should not be confused with an original, Molsheim-built Bugatti T35B, which may also carry this number. 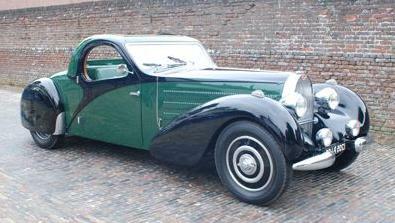 In this RM Auction a 1934 Bugatti T57 Galibier Pillarless saloon will be on auction. The chassis number is 57178, recently restored and fitted with both side mounted as well as one rear spare! 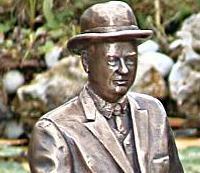 In cooperation with Jean Prick and Teresa Bugatti I have crafted this bronze sculpture of her father. 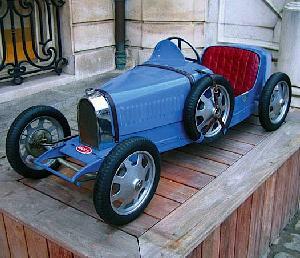 Ettore Bugatti, with bowler hat and white gloves, shows with pride one of his masterpieces, the Bugatti 57 Ventoux. This bronze sculpture is available in a special 'personalized' limited edition, with certificate and photo album. 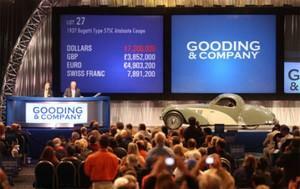 Lot 17: 1937 Bugatti Type 57C Coupe #57717 sold at $731,500. TORONTO -- I once said about the restoration of an early-1930s Grand Prix Bugatti, "How hard can it be? It's just a car." It's amazing how naive we can be sometimes, even when we should know better. While it is true that Bugattis are "just cars" from the standpoint of having four wheels and a motor, the waters tend to muddy beyond that. 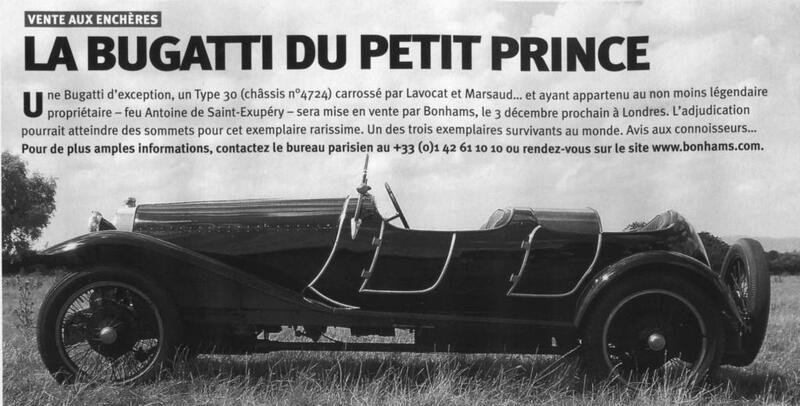 The largest problem is with the rather eccentric way in which Bugattis were engineered -- that eccentricity largely stemming from the fact that founder Ettore Bugatti was not a trained engineer but a brilliant tinkerer who simply invented his own idiosyncratic solutions to many problems. 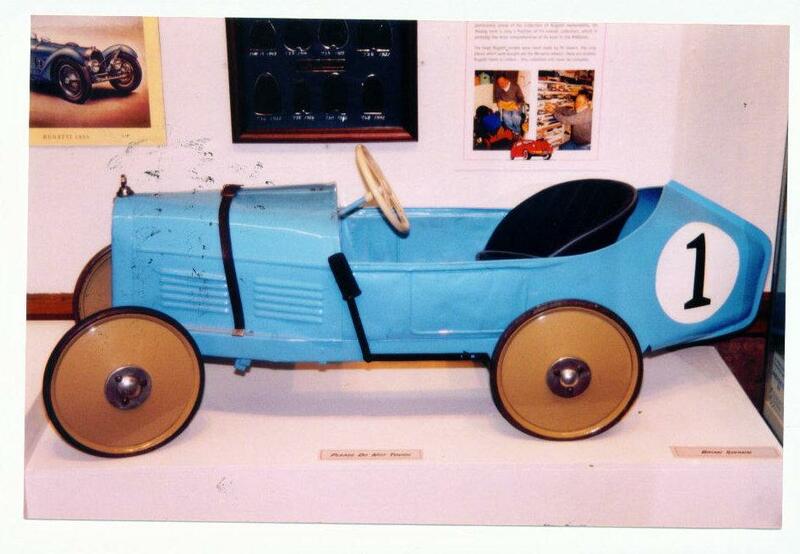 Bugatti had not just a good grasp of engineering but was also from a creative family. Both his father and his brother Rembrandt were successful artists. The eccentricities of Bugattis can be attributed not just to the founder's lack of formal training; he also insisted that most mechanical items made for a car have their own simplicity and elegance. 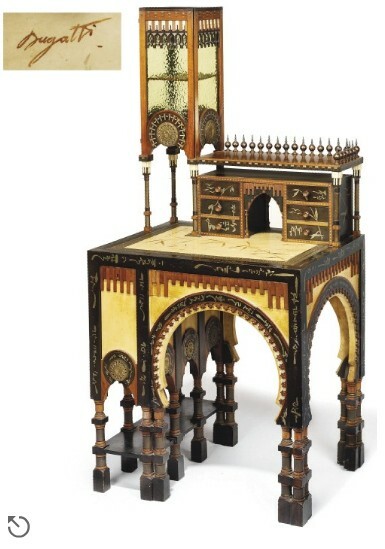 For that reason, even a water pump or generator would not look out of place in any Art Deco exhibition. 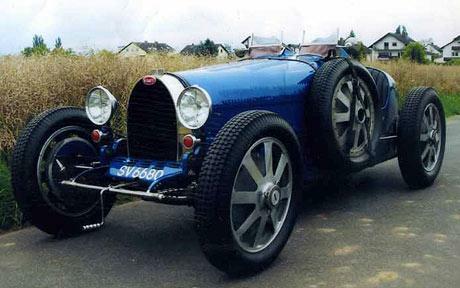 Bugatti had the kind of ego that would not allow him to solve engineering solutions by copying other manufacturers. 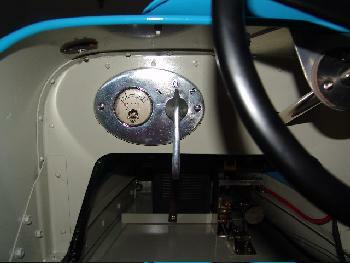 The exception to this rule was the twin-cam design of the Type 57 motor, which he borrowed from American Harry Miller's famous racing engines. That exchange went both ways, however, as Miller utilized some of Bugatti's ideas as well. The Aerolithe project going on at the shop -- the recreation of Bugatti's (arguably) most famous and controversial lost car -- brings not just the eccentricities inherent to the marque but also the dearth of information due to the fact there are only 11 photographs of the original Aerolithe in existence. And several of these are taken from the same angle. 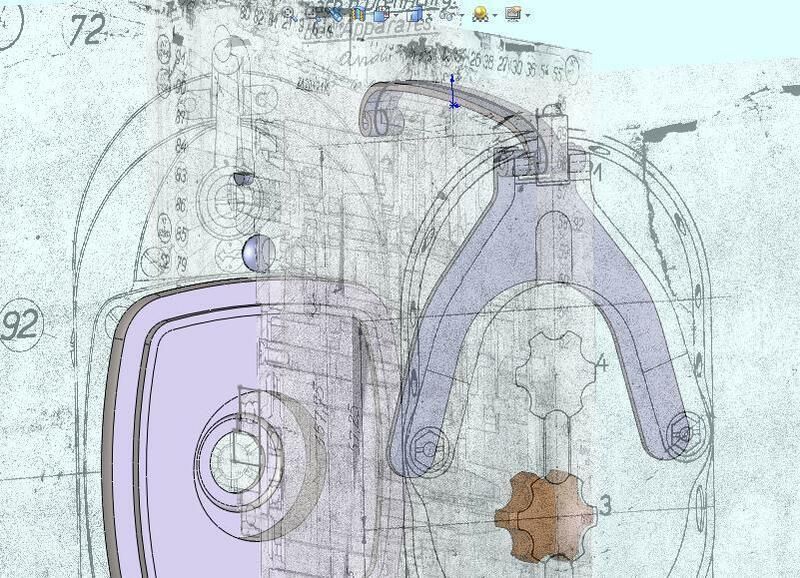 Plus, only a few technical drawings exist of items such as foot pedals and other inconsequentials. The only truly important extant technical drawing is of the Aerolithe's radiator, from which some information can be gleaned. While building this car, we have also had to wade through the very swampy waters of "expert opinion." As with a T59 Grand Prix car I built a few years ago, I soon realized that many of the experts and their entrenched opinions are, in fact, mistaken. As we recreate the Aerolithe millimetre by computer-checked millimetre, we are discovering things that fly in the face of some long-held expert opinion. First and foremost is putting to rest the controversy over what kind of frame the car had. Many Bugattistes have hypothesized that it had a much lower Sport chassis rather than a standard factory chassis. While this may seem largely irrelevant to most, this has long been a point of great controversy and importance in the Bugatti world. 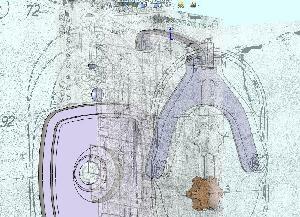 While building the car -- and with measurements carefully scaled by computer from all the existing photographs -- we discovered that the angles incorporated into the Sport chassis made its lower profile incompatible with the Aerolithe's components (steering box, firewall, etc.) without a ridiculous amount of shimming. Another theory regarding the Sport chassis was that it had curved rear frame members that followed the shape of the body's boat tail. Not only would this have been silly to run under the larger coupe, it would have required some fancy and unneeded engineering in order to make it work. It is while doing the reverse engineering required to recreate this lost Bugatti that one eventually figures out what it was most like in original form -- and what it could not possibly have been. What stands out is just how much the Aerolithe was like modern prototypes. It was, in fact, more a dream car than a manufacturable reality. While it was functional in some respects -- it's recorded that the car took one road trip to England -- the Aerolithe's lack of opening side windows and proper ventilation, combined with other shortcuts, must have made it a little rude to live with as well as hot and stuffy. Of course, given a car that was truly an expression of high art and cutting-edge design, what red-blooded individual would complain if given the opportunity to drive it? The Aerolithe, an icon that the public of the 1930s knew as the Electron coupe, would have been the prototype Enzo Ferrari (the car, not the marque's founder) of its day. In fact, the Enzo could be considered rather plebeian by comparison as there were 400 built. 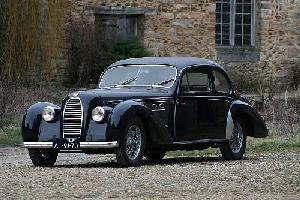 Counting the production run of Atlantiques, which followed the Aerolithe prototype, there were only four built. There were not that many entries for the contest, but one impressed through a very personal life-story. 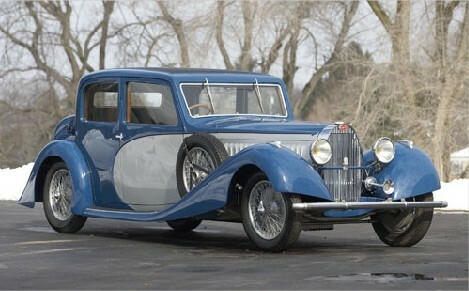 In this Bugatti played a very significant part, even to live-saving proportions! Then there are many personal, though much less dramatic stories. Some are about the known ways of getting involved with Bugattis; for the younger ones: through the building / collecting of miniature Bugattis, for the older authors; some were lucky enough to be able to buy a Bugatti back in the 60's, when these were still affordable. 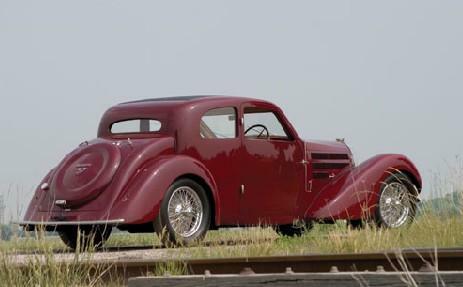 So, the winner is Johan Buchner of South Africa, with runner up being Pedr Davis (Australia) with a very different story, notably about the connections between the first real Bugatti (type 10), and an Isotta Fraschini from approximately the same year. Both stories were unanimously chosen by the jury. Their prizes are already sent, so they should receive them shortly. 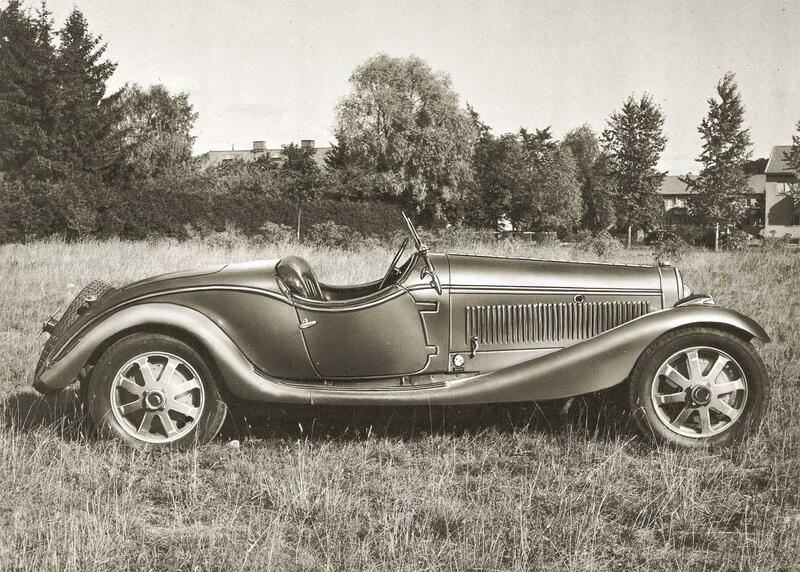 Enjoy all the stories, which you can find in the Bugatti Revue. A special thanks goes to all authors, who took the time to write an article, and had the guts to send it in also! December 2, 2007 Bugatti Automobiles SAS introduces Extented Warrenty Cover for Years 3 and 4. Bugatti is pleased to announce the introduction of a comprehensive additional warranty, covering practically every eventuality up to four years after the vehicle抯 original delivery. To begin with, the optional warranty guarantees the mechanical and electrical components, as well as the body- and paintwork, including a guarantee against rust throughout the entire vehicle. To this end, the built-in telemetric system can be used to provide early warning of any possible malfunction within the car抯 equipment that might affect its safety or performance. In the event of a failure, the warranty also provides for the delivery of replacement parts anywhere in the world. Finally, to ensure a minimum of discomfort, Bugatti owners taking advantage of this service are issued with an 揳nti-inconvenience� cheque that can be used to cover any expenses resulting from a breakdown, such as hotel accommodation or travel tickets, without any need to produce receipts. A special helpline is available 24 hours a day, 7 days a week, and all calls are managed personally by a member of Bugatti customer service. The Bugatti extended warranty applies to a specific vehicle and can be transferred to the new owner in the event of the car being sold. For further details please contact your Bugatti dealer. 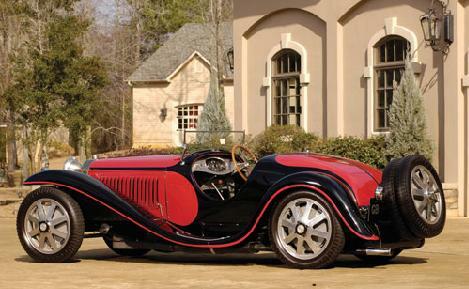 Bugatti Automobiles S.A.S. 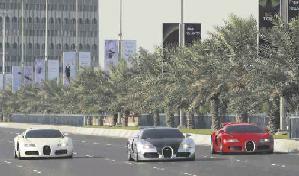 has recently introduced a unique driving experience for Veyron owners: Feeling the road. Under the watchful eye of official pilot, Pierre-Henri Raphanel, Bugatti customers have the opportunity to learn how to react in critical situations. Over the course of a whole day and some 300 kilometres, Pierre-Henri explains the Veyron 16.4 � which is supplied for the event by Bugatti � before giving one-to-one training and an introduction to racetrack driving. This exclusive event is held upon request and takes place at the 揂nneau du Rhin� track, in Colmar, alongside one of France抯 most beautiful wine routes. The session will entail such dynamic driving exercises as full acceleration, emergency braking, change manoeuvres, and slalom � conducted at the training centre and under various tarmac conditions, also making use of the artificial rain system. The programme then switches to the smaller (1.1 km) of the two racetracks, where drivers can train in private, with exclusive use of the track. After a break, the final � and most exciting � session is a special high-speed drive on the larger track (3 km). This unforgettable day is rounded off with a debriefing and the presentation of a certificate. Participants may also spend the evening dining with Pierre-Henri, when they will have the possibility to exchange their impressions of the day抯 experience. Bugatti Automobiles S.A.S. can arrange accommodation in or around Strasbourg, as well as a visit to nearby Molsheim for a tour of the birthplace of the first and today抯 Bugattis. My colleague Frederic Gasson and myself from the Bugatti Aircraft Association are organising, in cooperation with Retromobile, a conference on history, present and future of the Bugatti 100P airplane, at the Retromobile in Paris on February 16/17, 2008. We would really appreciate it if you would be able to attend. The public conference will take place about the Bugatti airplane at the RetroMobile-show 2008, in Paris on saturday the 16th of February at 10:30am. Part of the public conference will be in french, but I'm sure we will have a good time to discuss about that plane in english after the conference. A time is scheduled for a associative BAA meeting, after the public conference. The sunday 17th, I project to visit the "Bourget air and space museum". If you want to attend this meeting, let us know, we'll do our best to organise your stay during this Week End. J. Horst , Pr閟ident du "Bugatti Aircraft Association"
Photos de d閠ails du 100P au mus閑 EAA de Oshkosh. -Performances / Sp閏ifications a閞odynamiques ? Etudiants de l'ENSICA (Toulouse): pr閟entation d'une 閠ude en soufflerie. D. Lednicer/ M. Firczuck (USA): a閞odynamique et motorisation. -Revival Project: r閜lique exacte ou avion moderne? 2 The Violetta EUR菿A Grand-Prix is not a BUGATTI but its design and shape (1928) are based on the famous EUR菿A pedal cars from the 1920's. This pedal car is the quickest ever produced thanks to its very sophisticated and efficient pedal mechanism. Truly a masterpiece. Today VIOLETTA offers you the opportunity to acquire the perfect new edition. 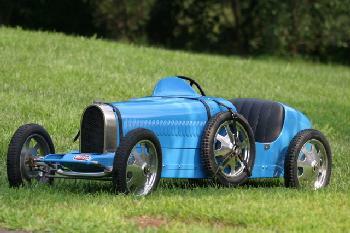 Bugatti T43 Zagato, chassis 43198. The car here is photographed while in the possession of Mr. Pluim, a Dutchman who at that time (late 50's, early 60's) was living in Sweden. As has happened more often, this very nice body was taken of the chassis, and a replica Grand Sport body was mounted, very close to a crime! However, the body still exists, and is being put on a T44 chassis. 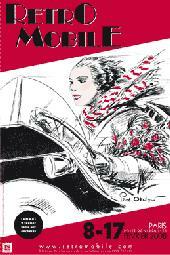 Main themes are "the woman and the automobile" and "60 years 2CV" (and hopefully not a combination of both! ), but as always, various Bugattis will be on show! Also, the organisation wishes to offer a more varied programme, reason why conferences and demonstrations are organised. Subjects: History of the airplane, and current projects for building a flying replica. For more info contact Frederic Gasson or Jaap Horst . On offer in this RM Auction a 1937 Bugatti T57 Stelvio, chassis 57440. Take a look at the strange vents on the front fenders! Estimate: 450 - 550 k$.